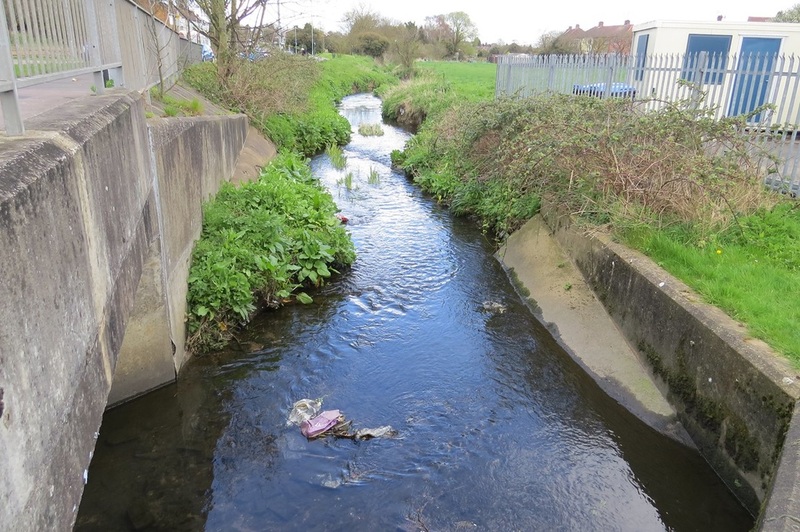 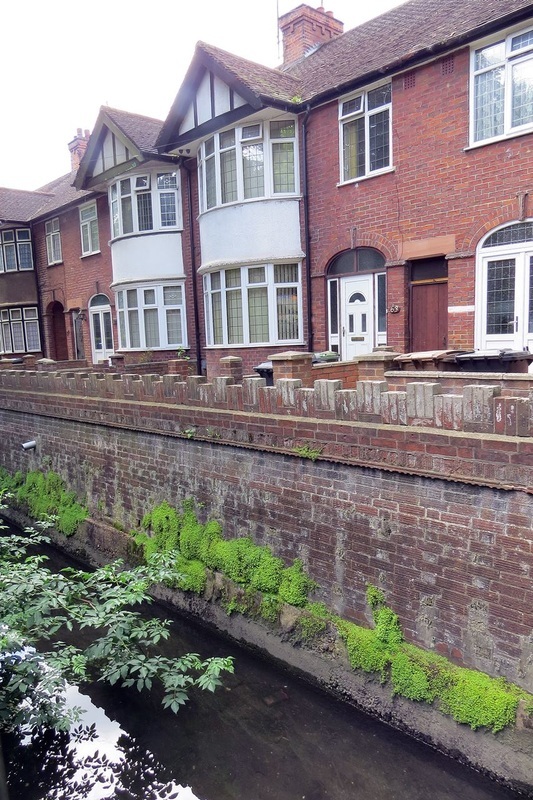 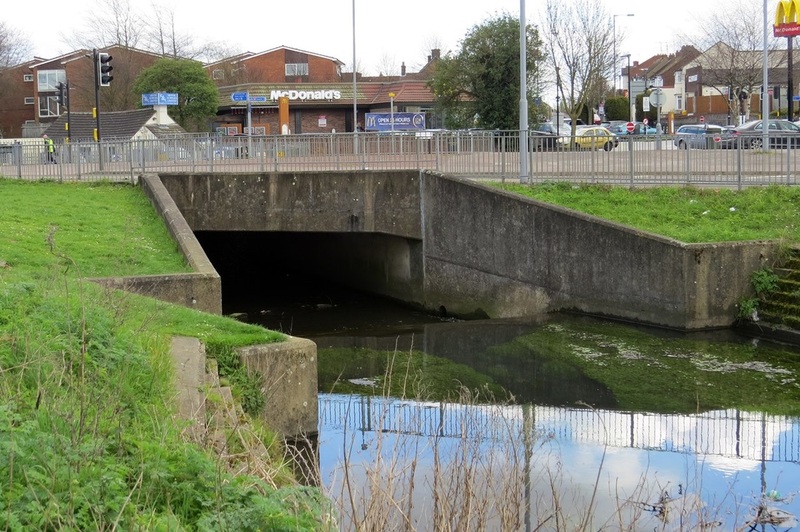 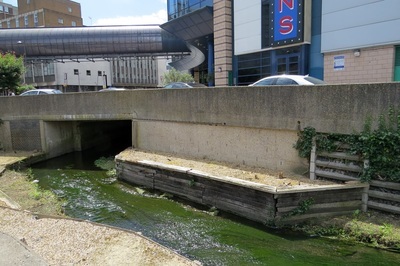 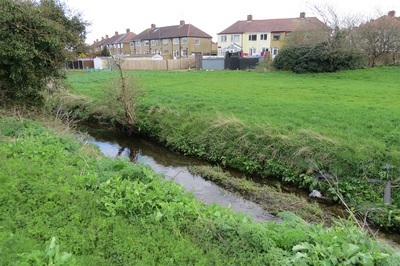 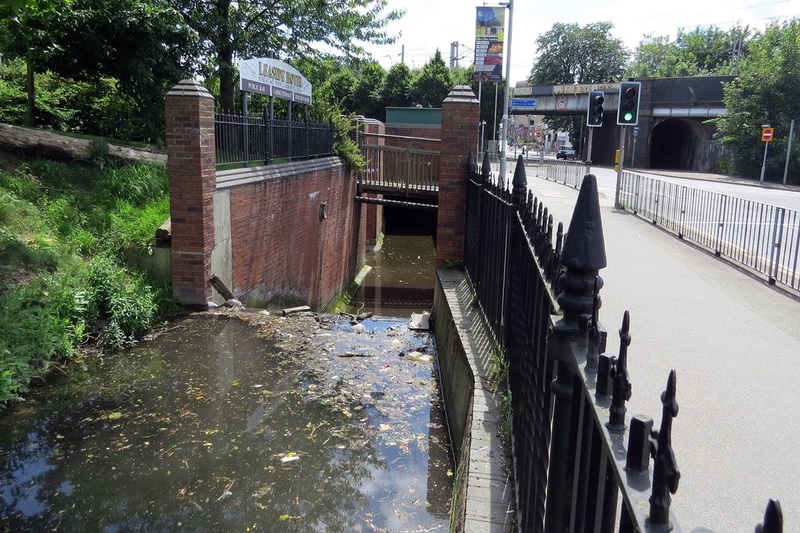 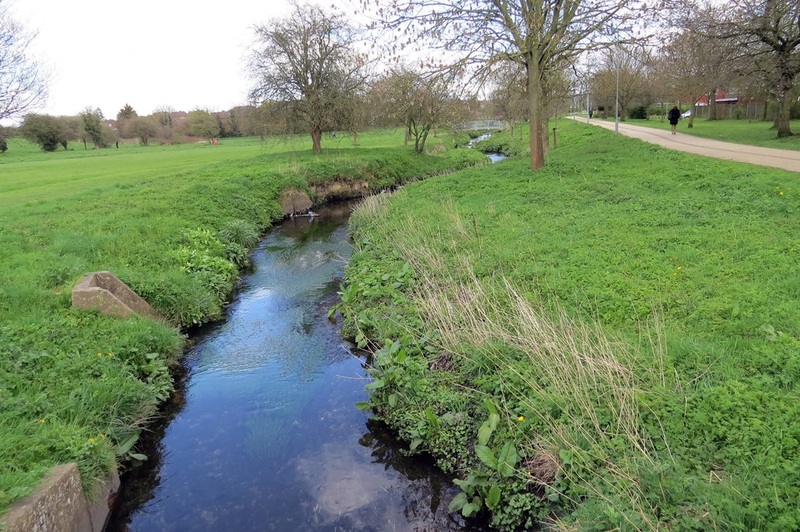 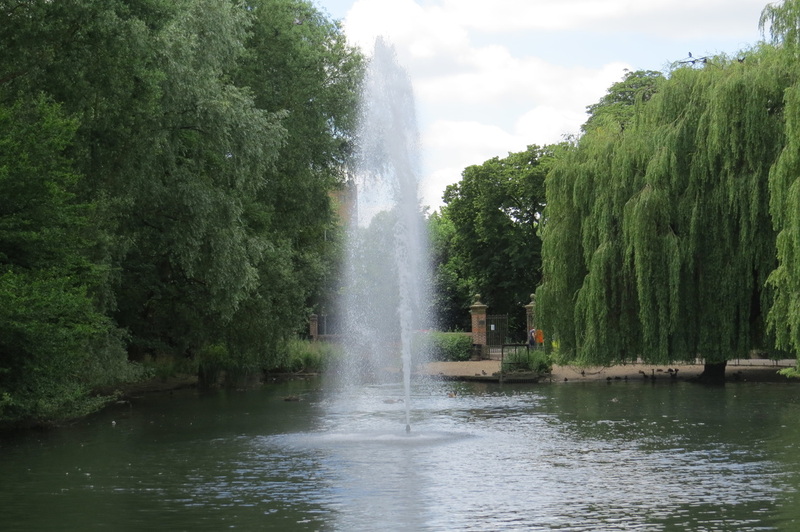 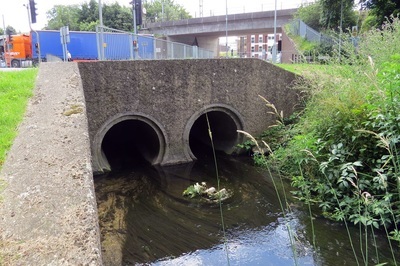 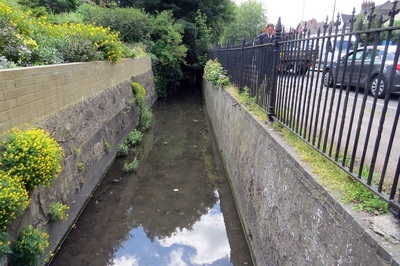 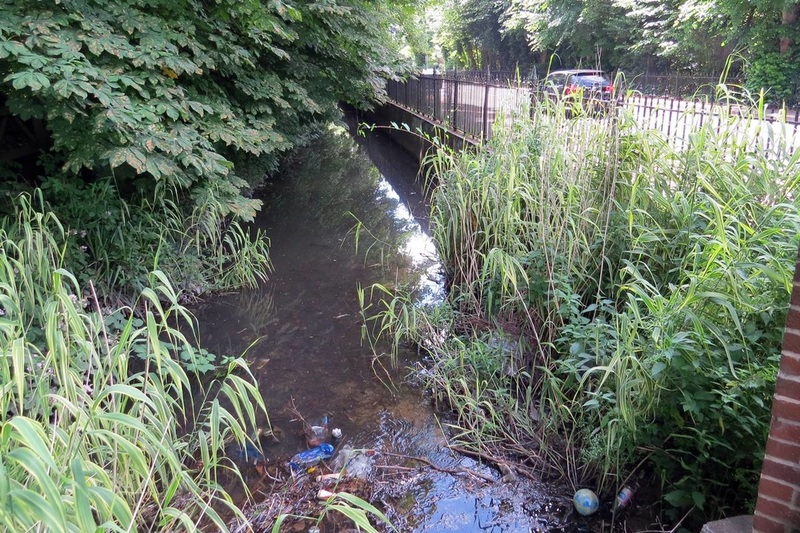 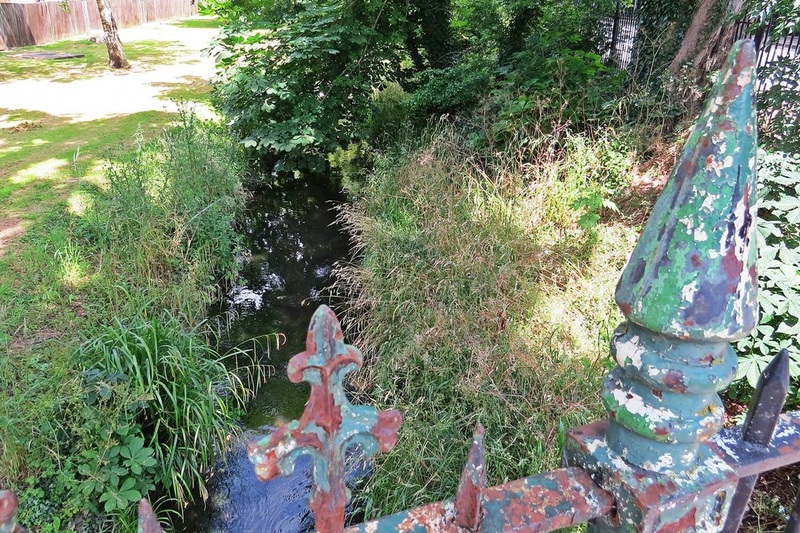 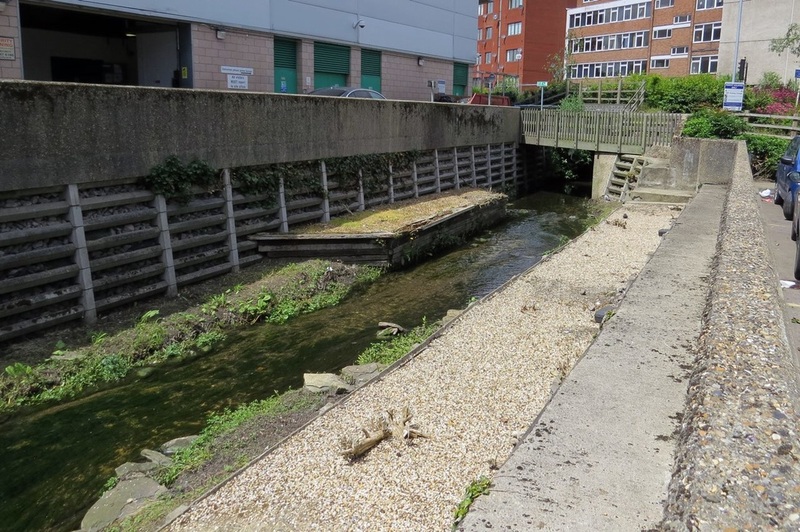 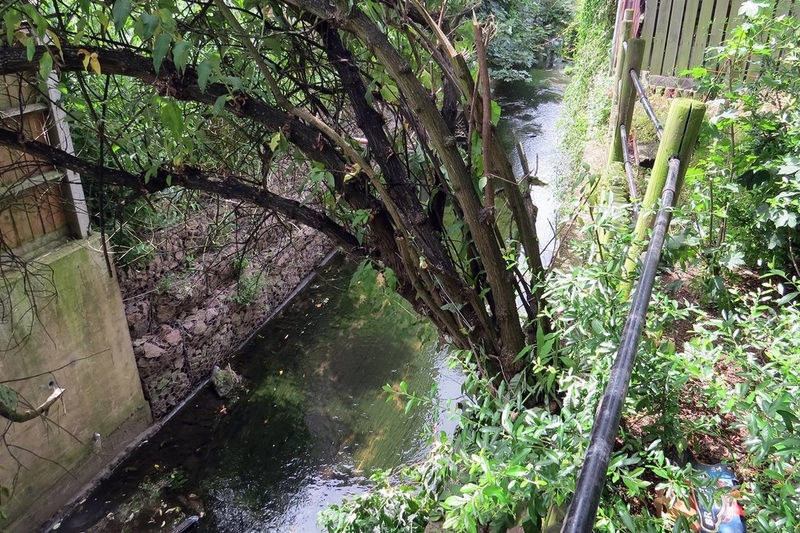 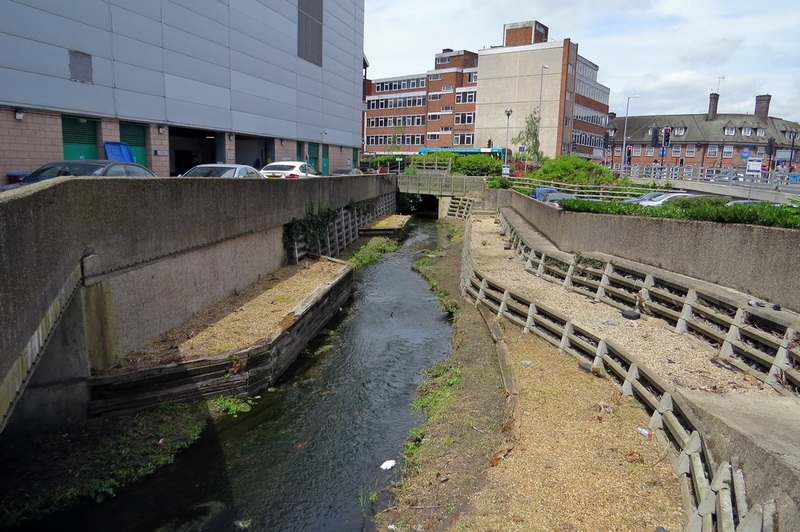 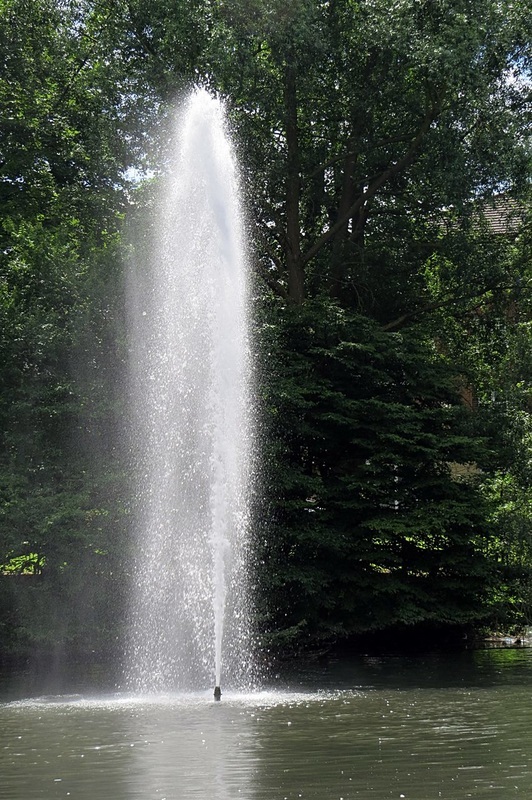 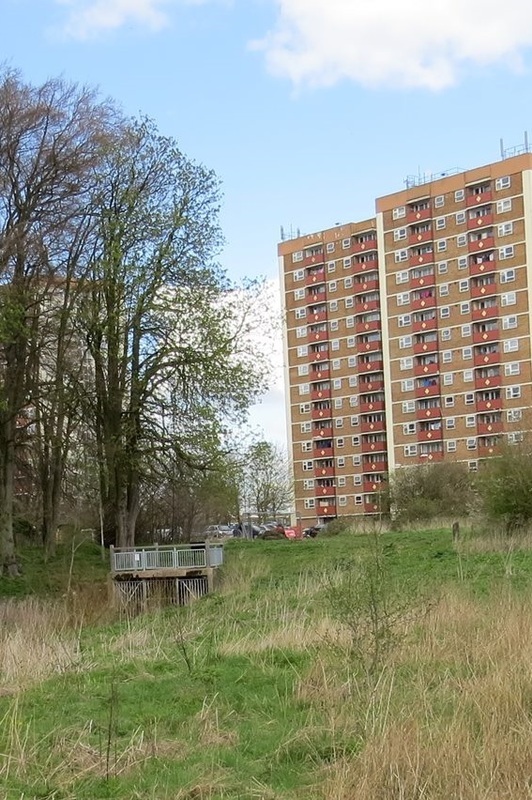 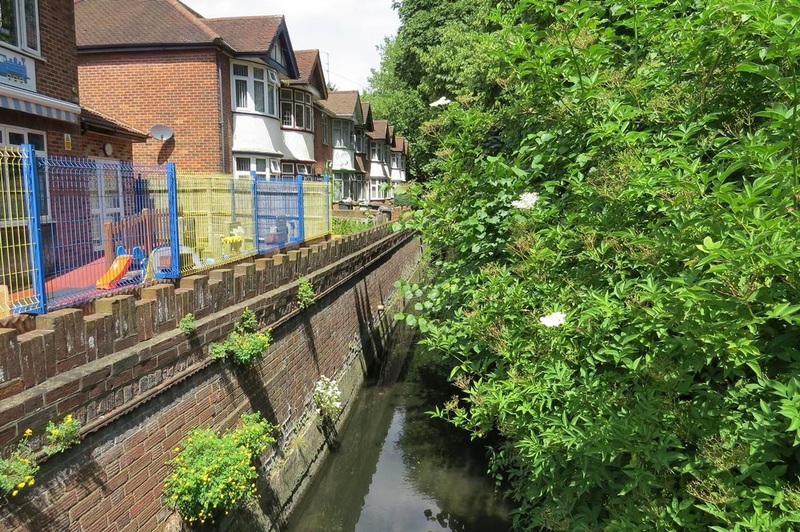 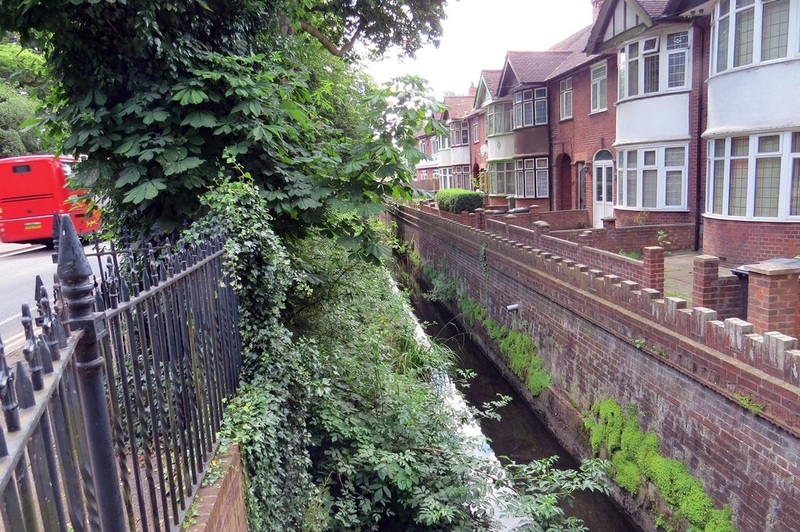 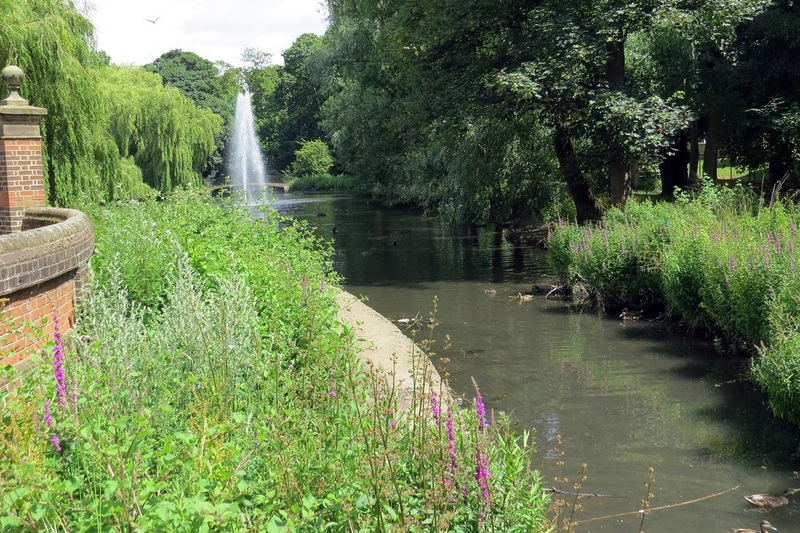 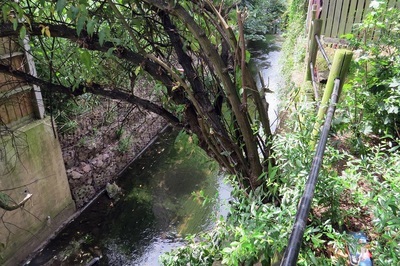 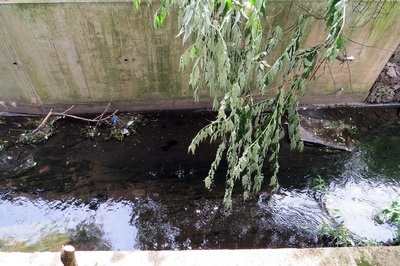 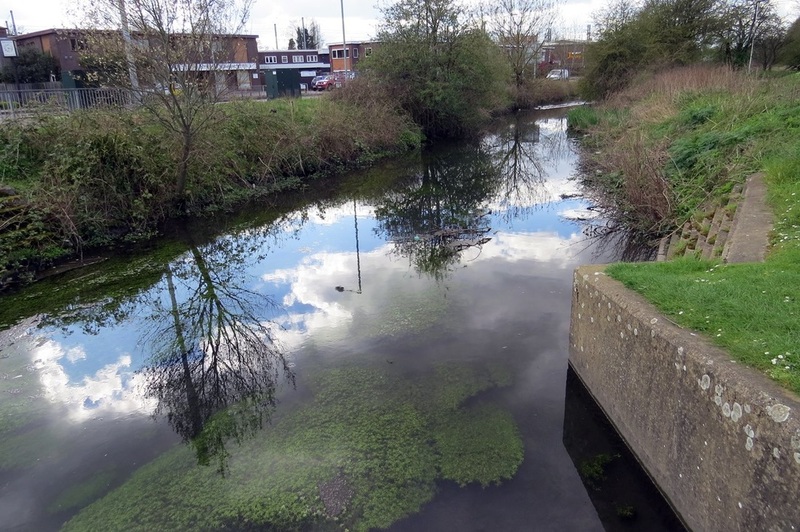 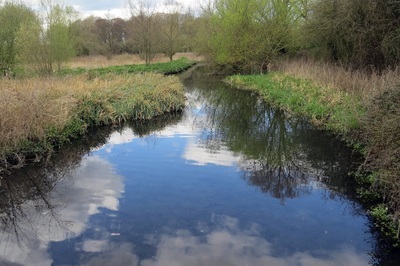 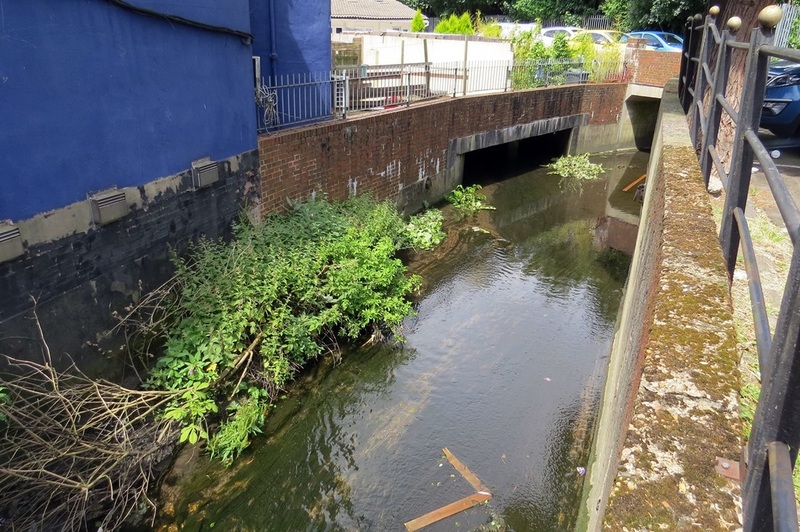 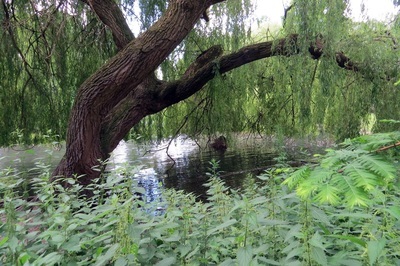 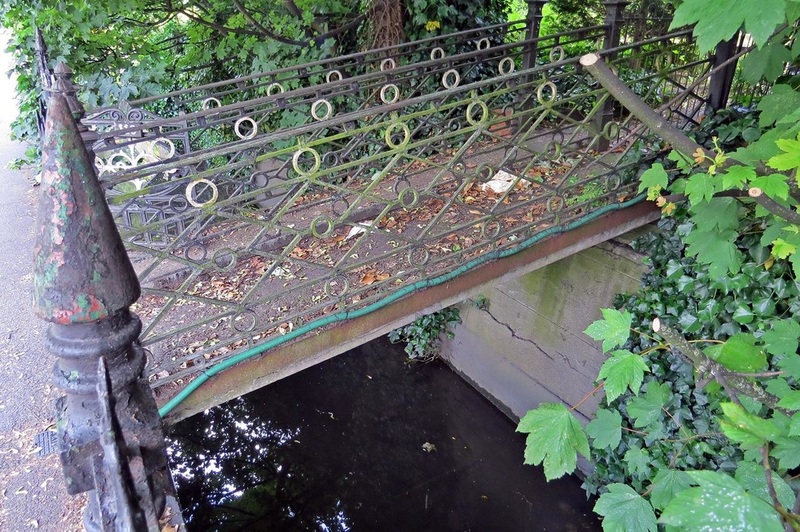 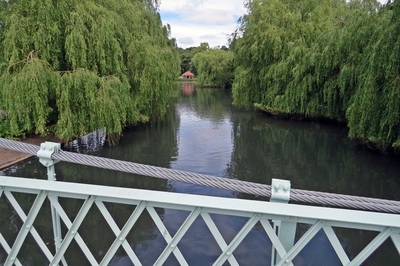 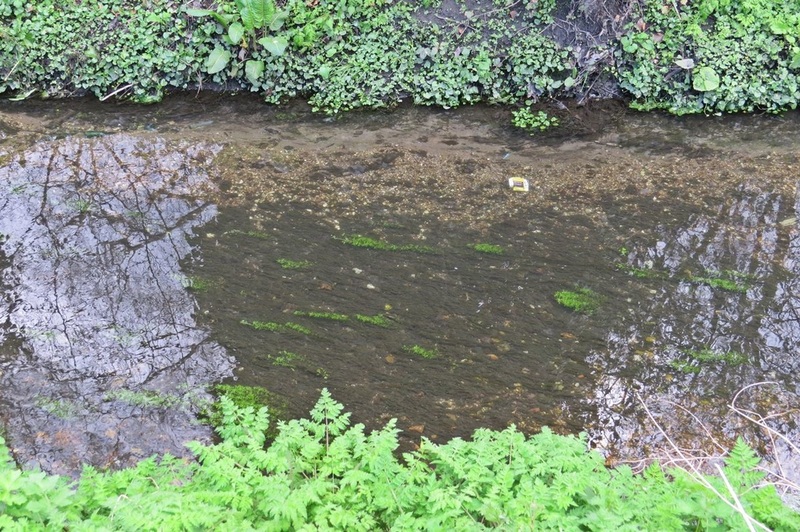 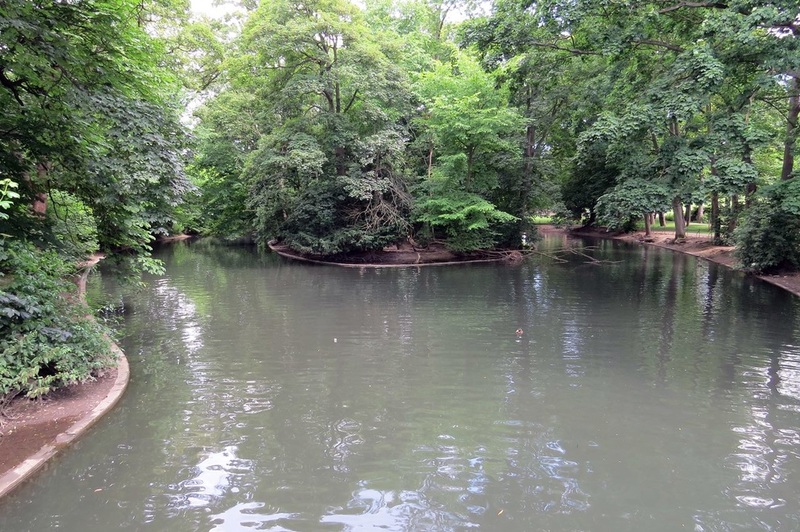 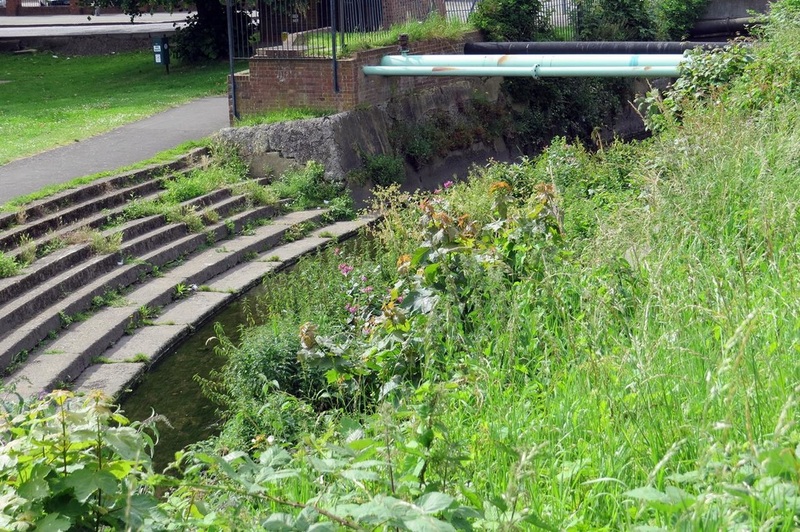 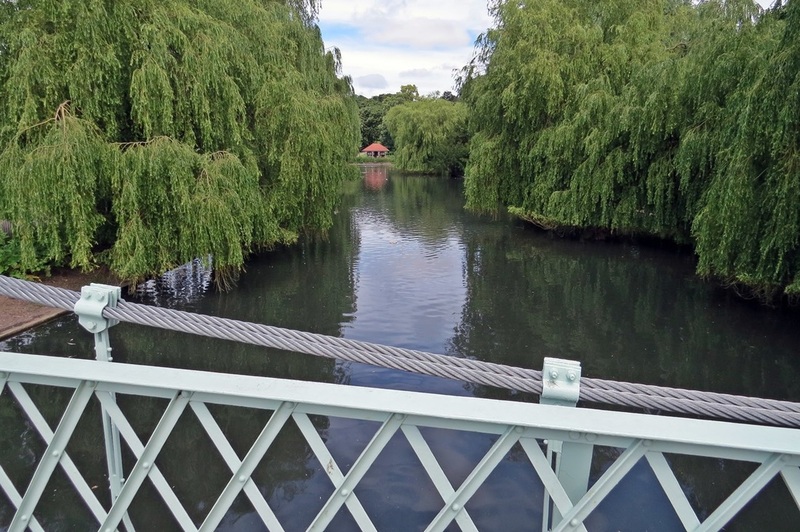 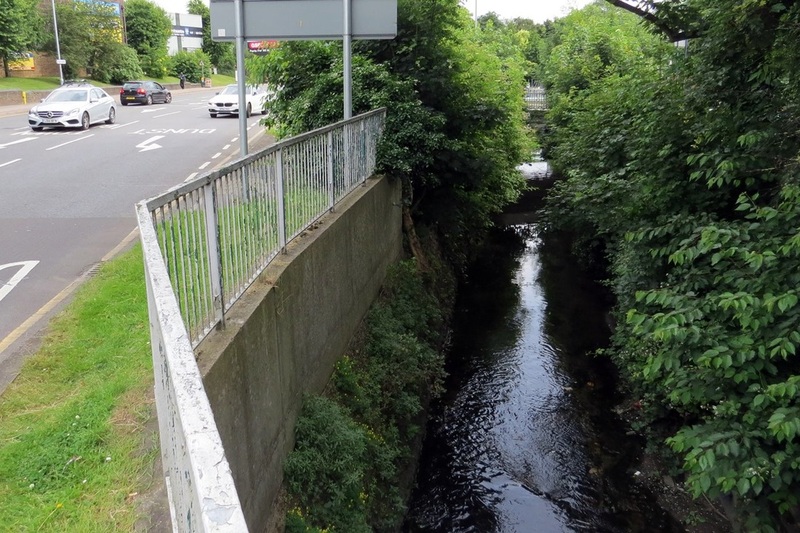 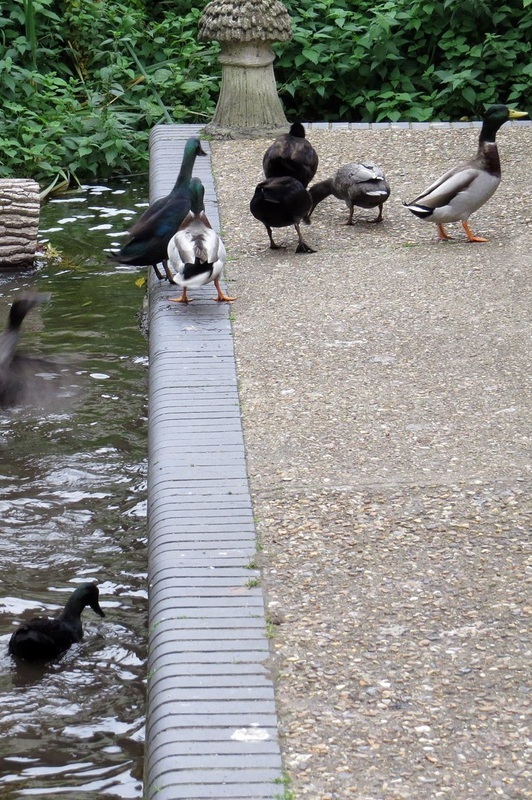 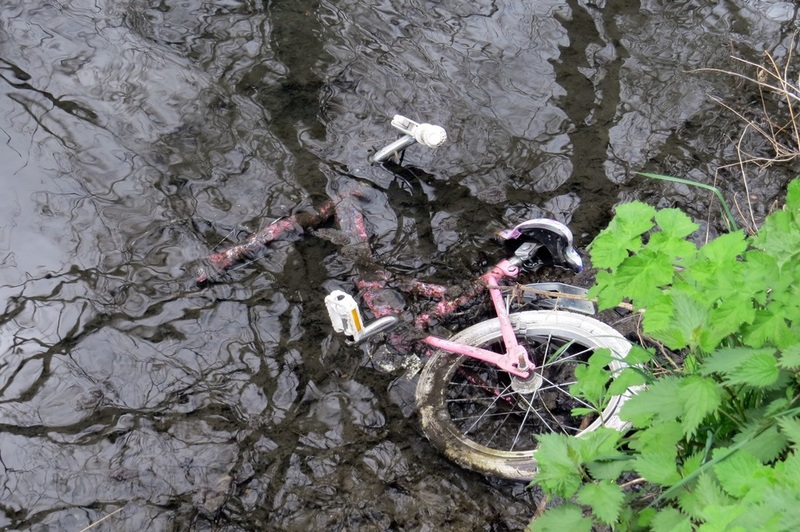 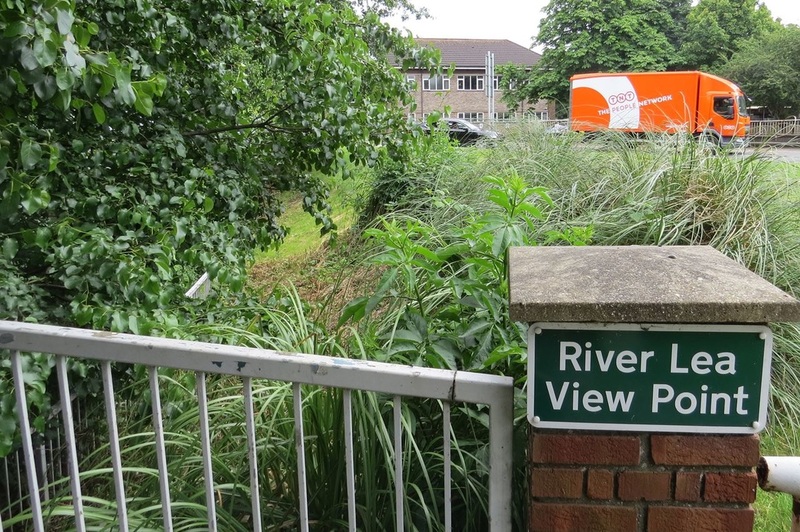 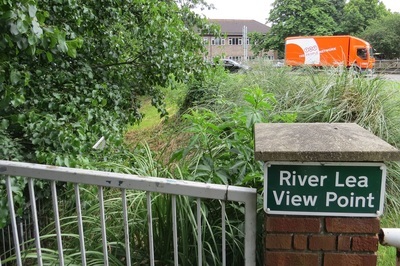 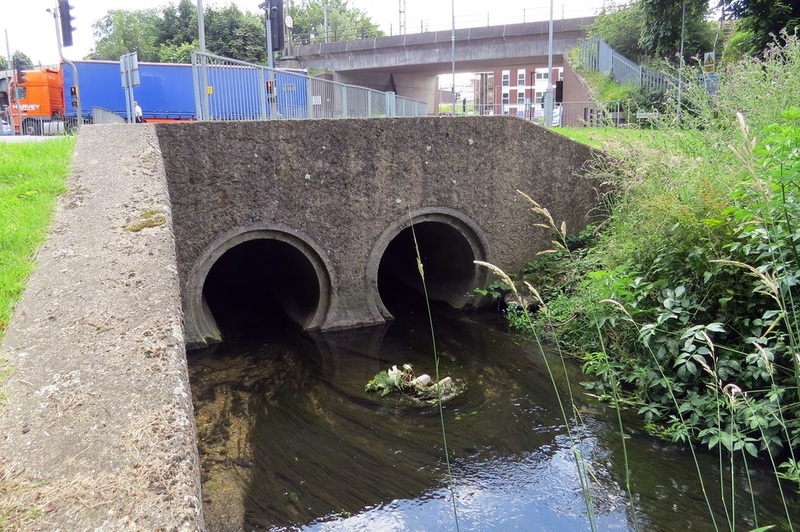 Many people are aware of London's second best known river - The River Lea over in East London but not everyone is aware that it's source is as far away as Leagrave just north of Luton. 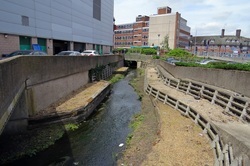 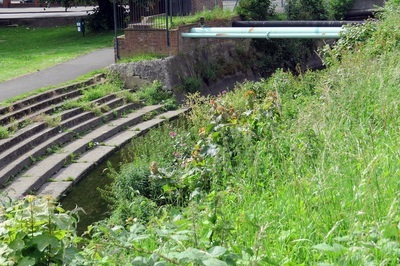 Parts of the river goes underneath Luton before reappearing again and flowing down to Harpenden, Welwyn Garden City, to Hertford where it changes from a small shallow river to a deep canal which then flows on to Ware, Stanstead Abbotts, Hoddesdon, Broxbourne, Cheshunt, Waltham Abbey, Enfield Lock, Ponders End, Edmonton, Chingford, Tottenham, Walthamstow, Upper Clapton, Leyton, Hackney Wick, Stratford, Bromley-by-Bow , Poplar, Canning Town and finally Leamouth where it meets the River Thames (as Bow Creek). 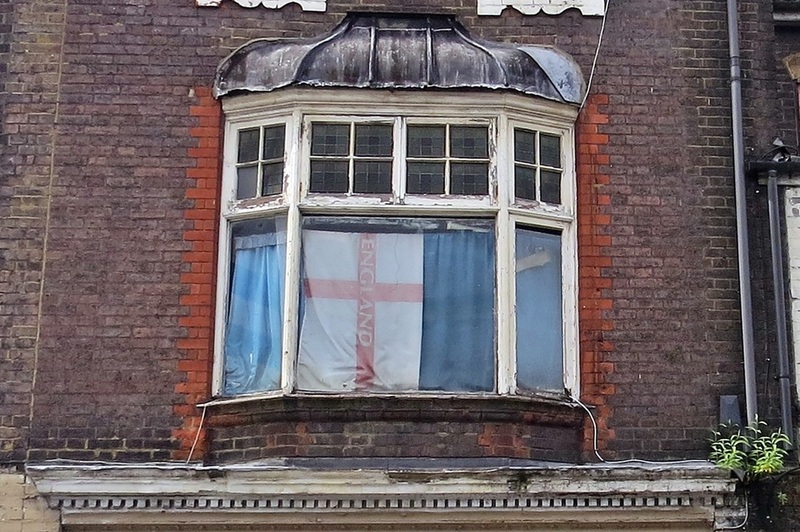 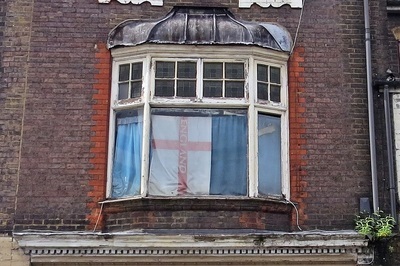 It forms the traditional boundary between the counties of Middlesex and Essex. 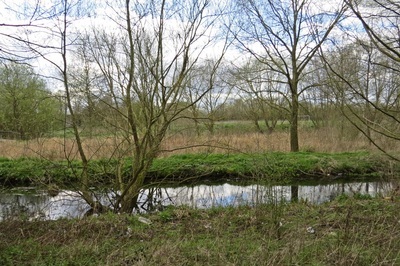 It also forms part of the boundary between Essex and Hertfordshire. 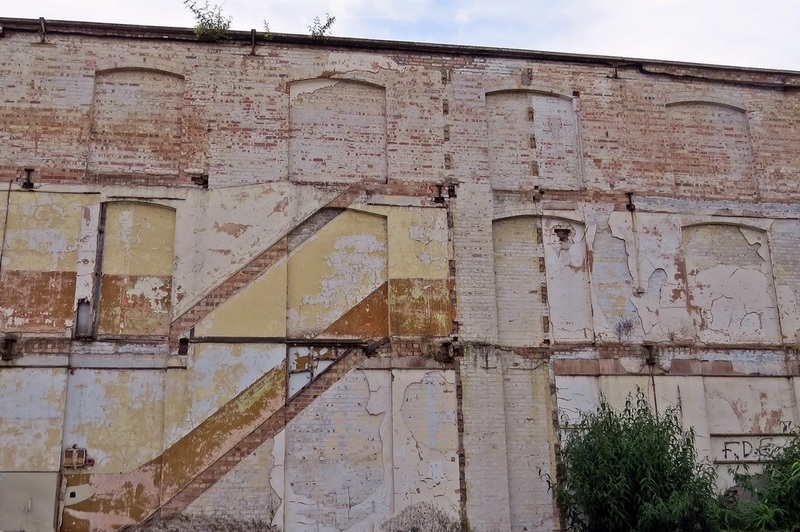 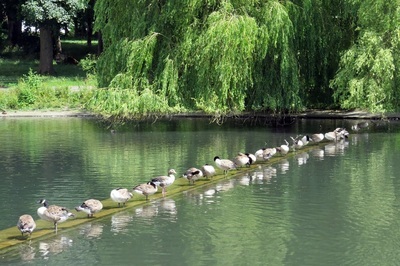 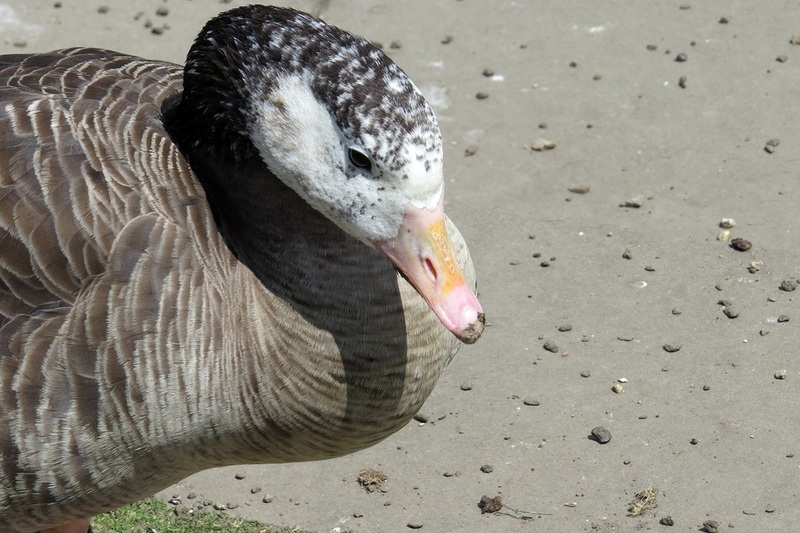 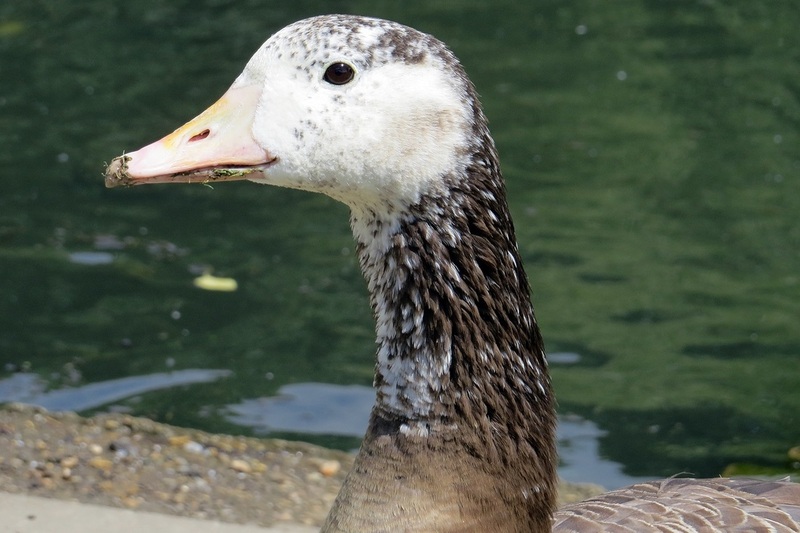 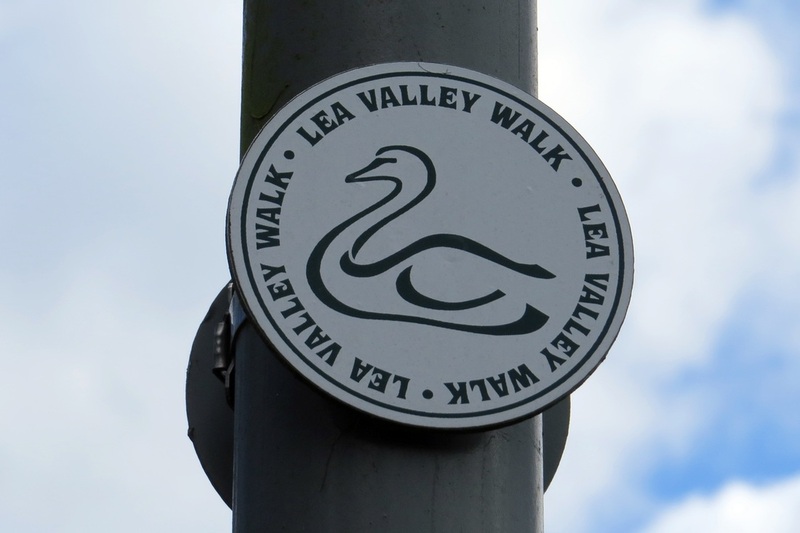 The Lea Valley Walk website states that the Lea is 58 miles (98km) long. 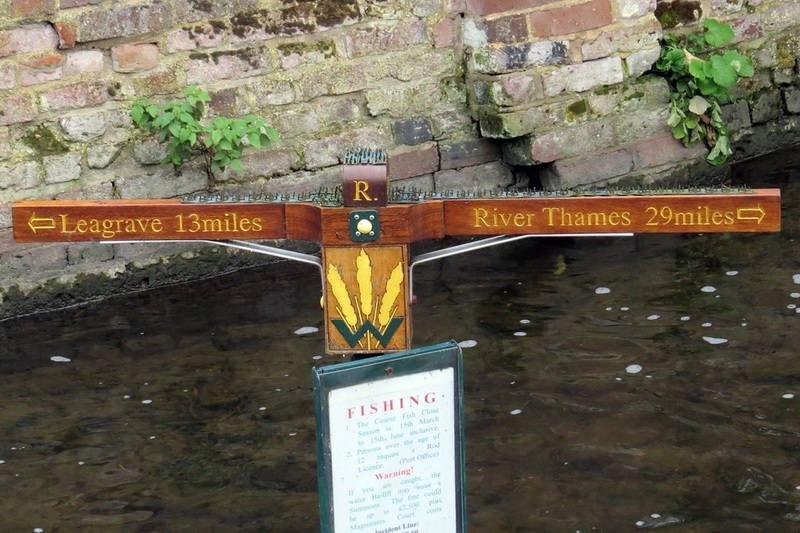 There are many spellings for the river name. 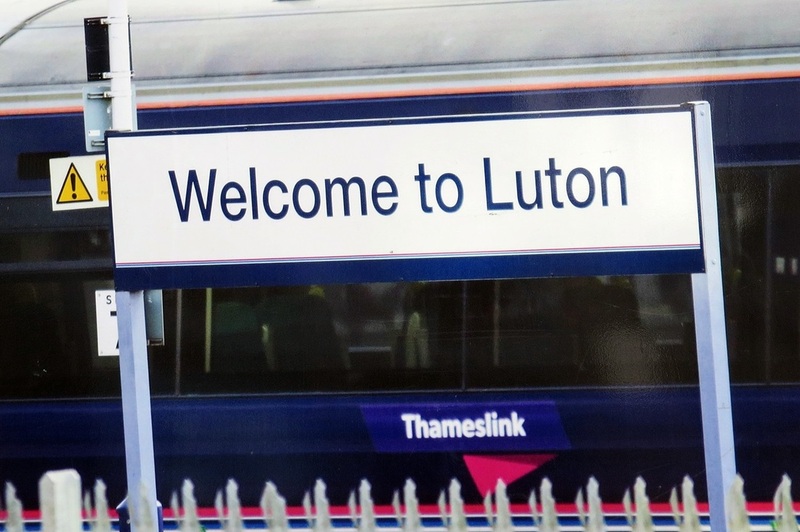 Spellings from the Anglo-Saxon period include Lig(e)an in and Lygan, and in the early medieval period it is usually Luye or Leye. It seems to be derived from a Celtic meaning 'bright or light' meaning may be 'bright river' or 'river dedicated to the god Lugus'. 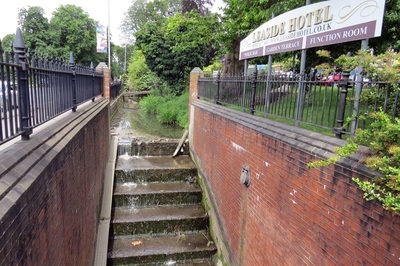 The spelling Lea predominates west (upstream) of Hertford, but both spellings (Lea and Lee) are used from Hertford to the River Thames. 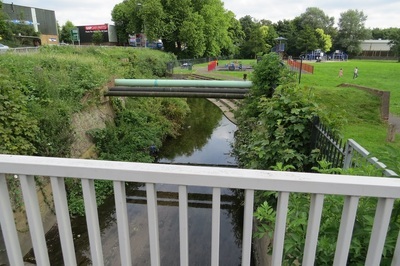 The Lee Navigation was established by Acts of Parliament and only that spelling is used in this context. 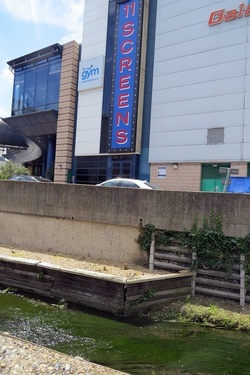 The Lee Valley Regional Park Authority also uses this spelling for leisure facilities. 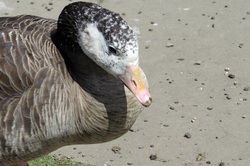 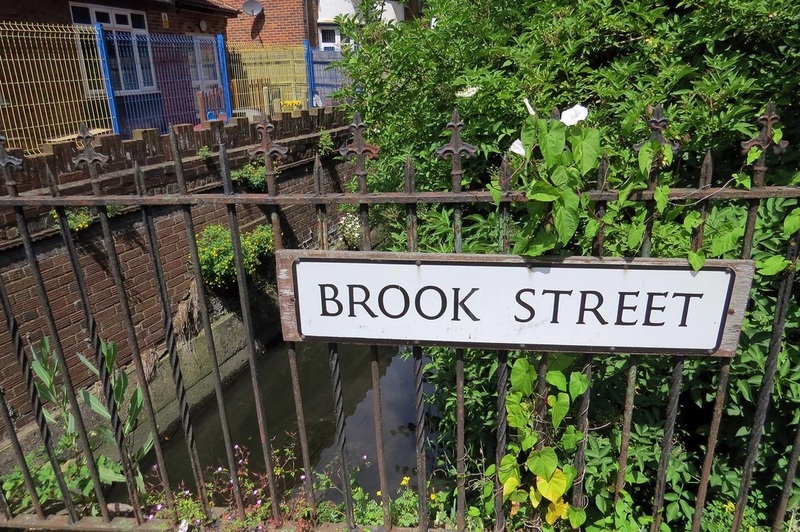 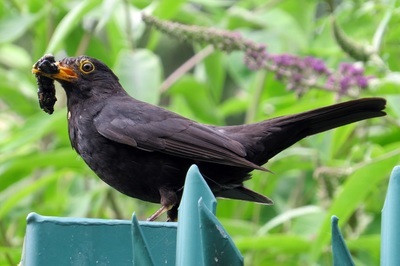 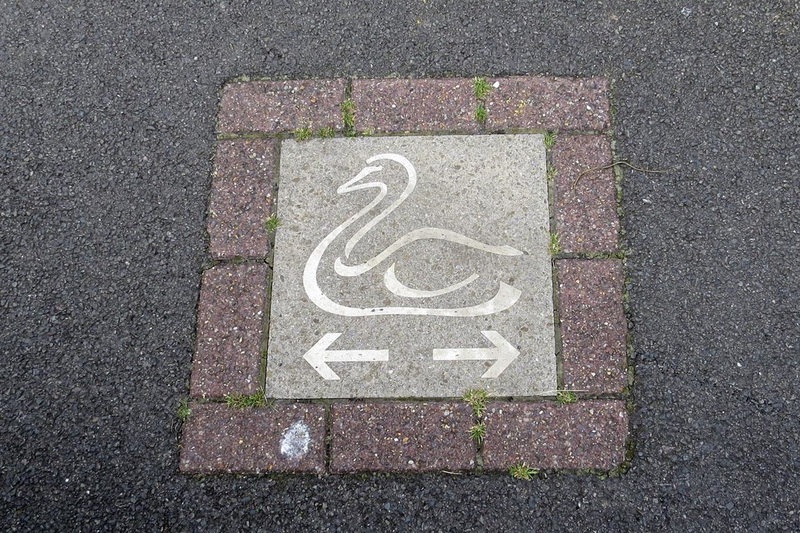 However, the spelling Lea is used for road names, locations and other infrastructure in the capital, such as Leamouth, Lea Bridge, the Lea Valley Walk and the Lea Valley Railway Lines. 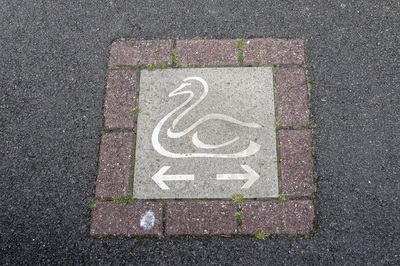 This spelling is also used in geology, archaeology, etc. 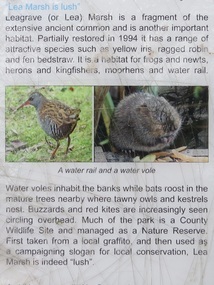 to refer to the Lea Valley. 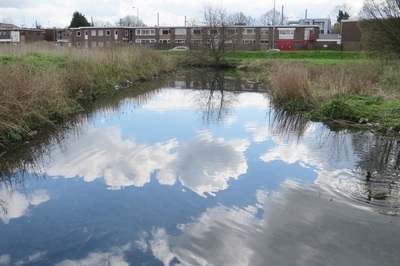 The divergent spellings of the river are also reflected in the place-names of Luton and Leyton: both mean "farmstead on the River Lea". 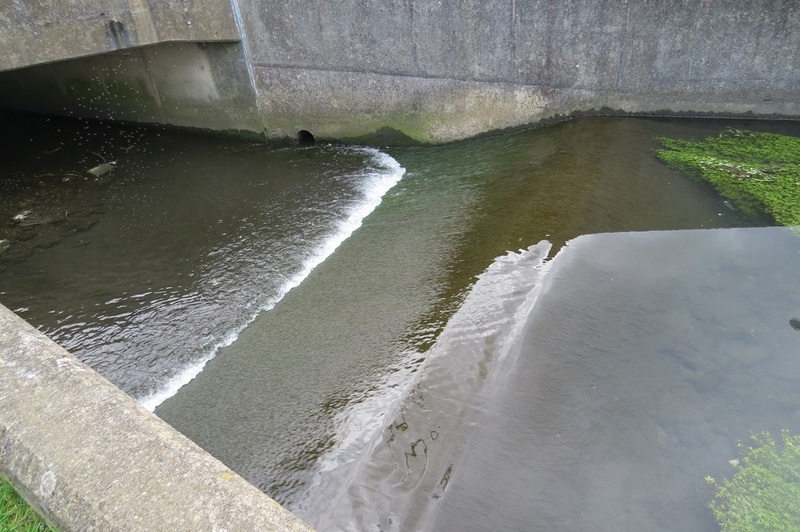 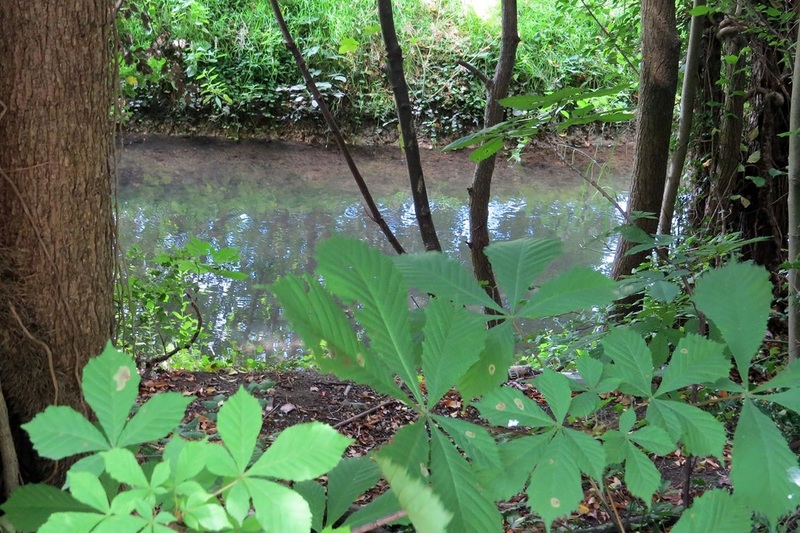 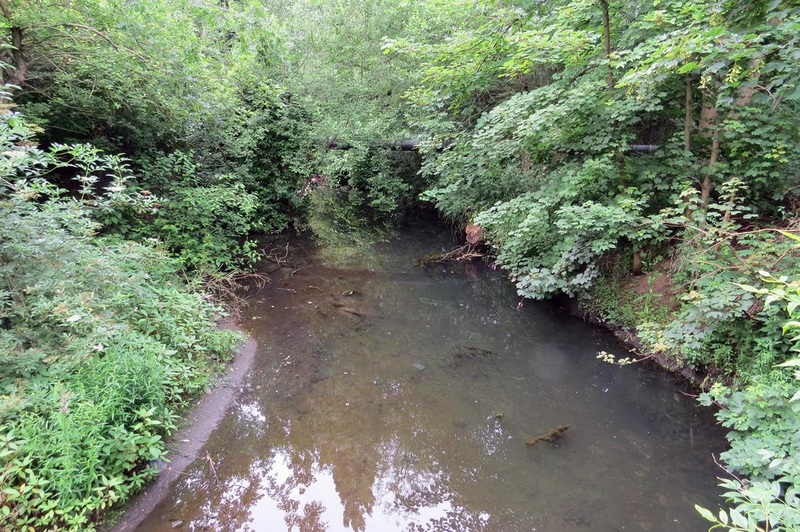 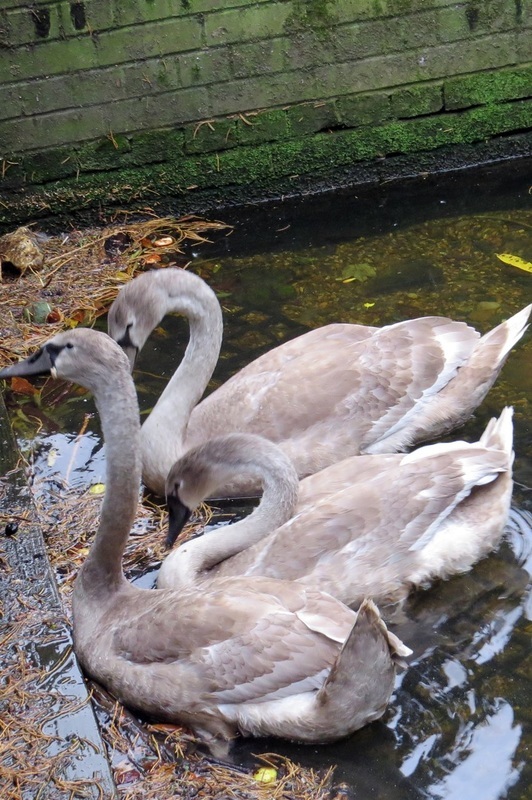 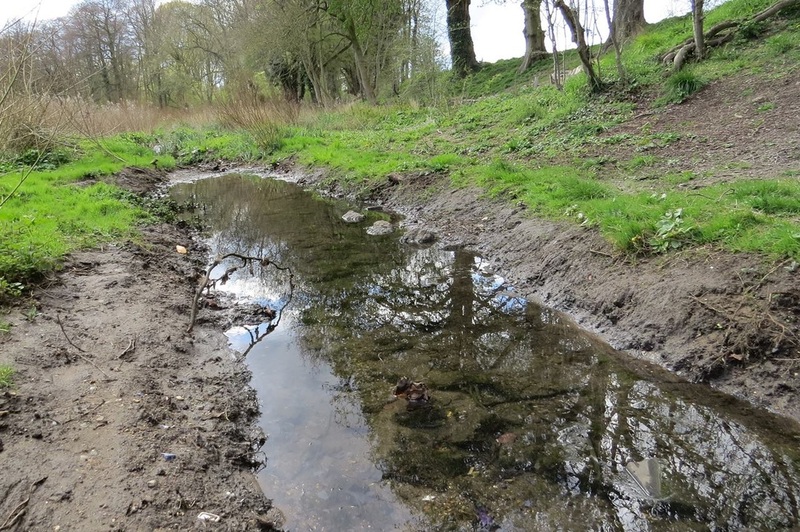 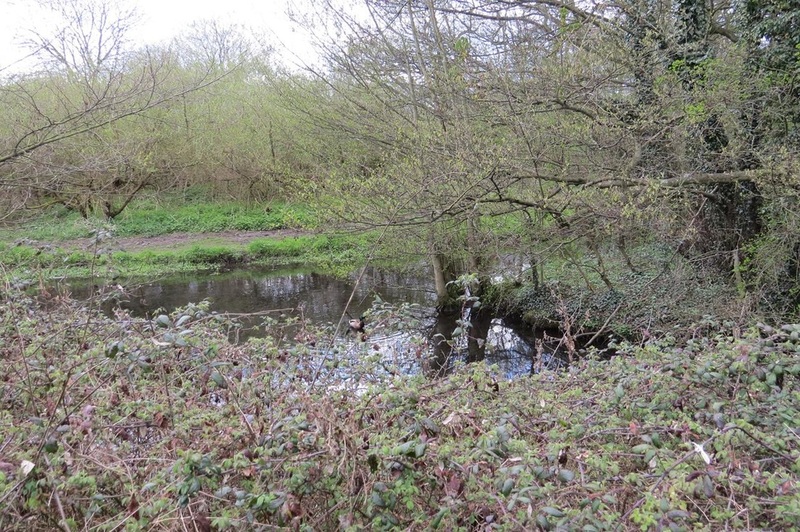 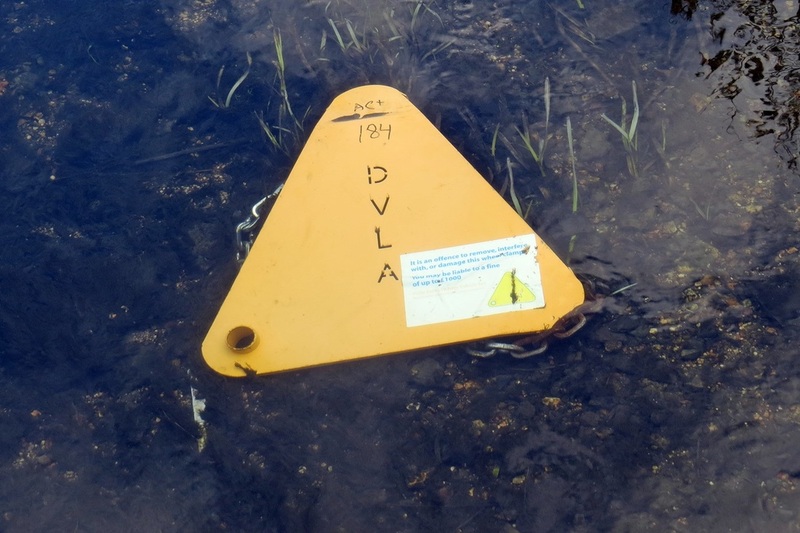 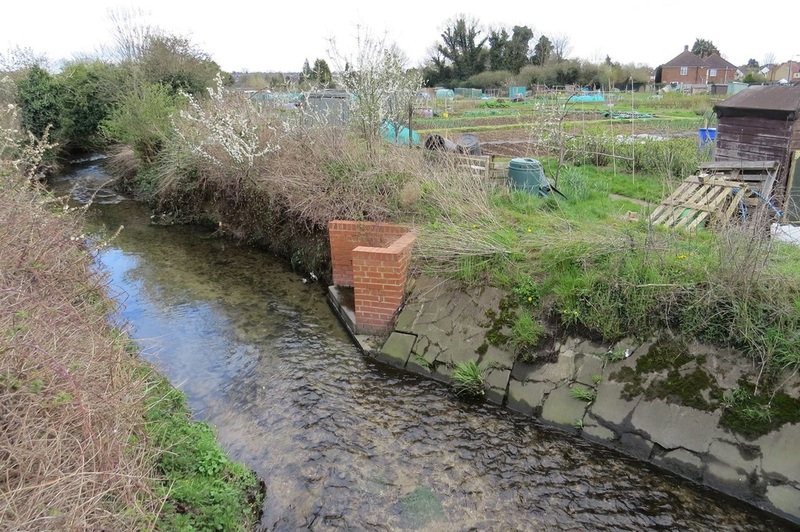 Here are some pictures of the source of the Lea in Leagrave. The water coming out of the pipe drains rainwater from nearby roads. It is not a true source of the Lea. 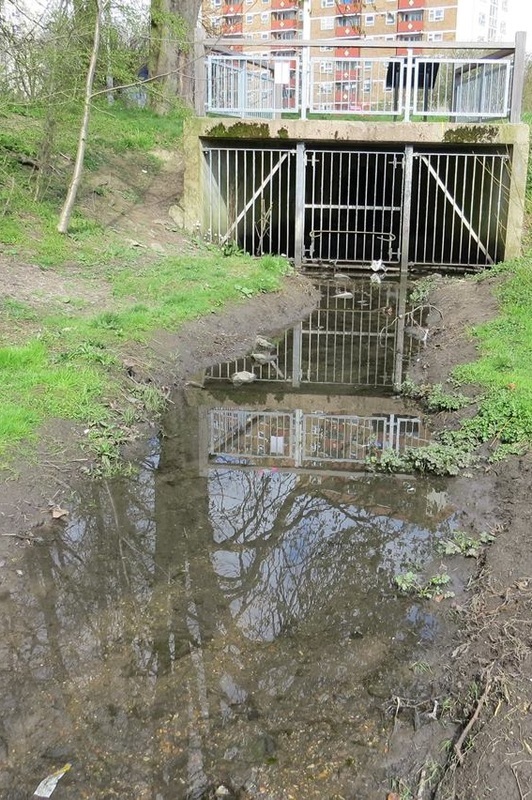 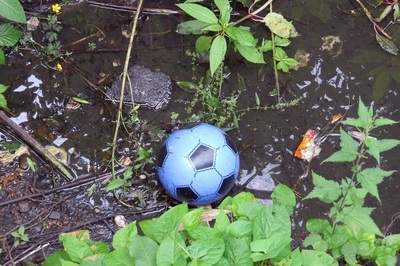 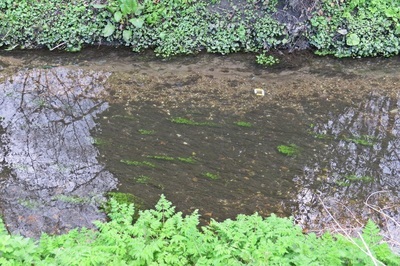 The water seeps up out of the ground by the metal grille which then trickle into a little channel - the start of the River Lea. The area is known as Well Head. . 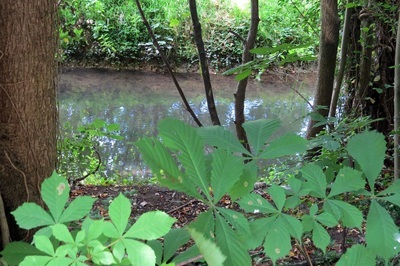 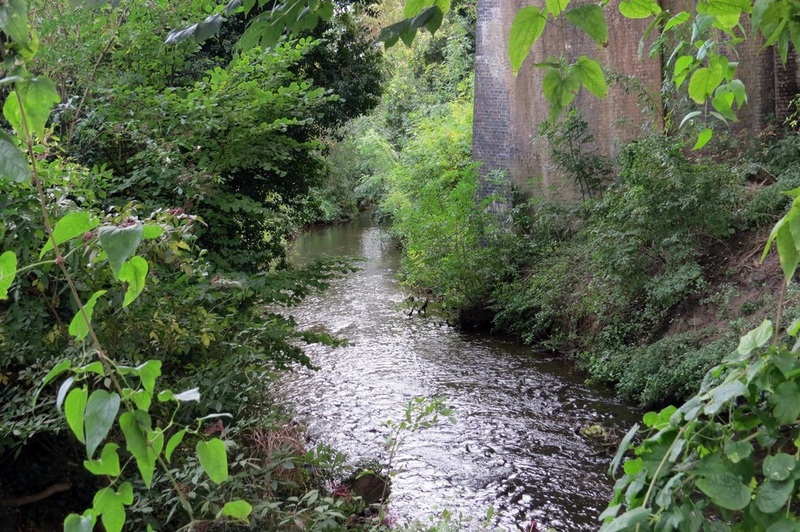 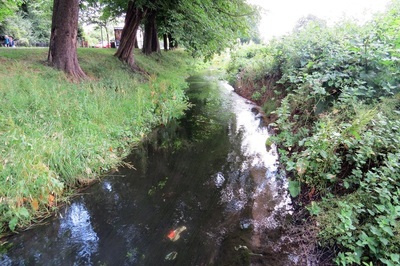 The River Lea is also fed by Houghton Brook, a stream that starts 2 miles further west in Houghton Regis. 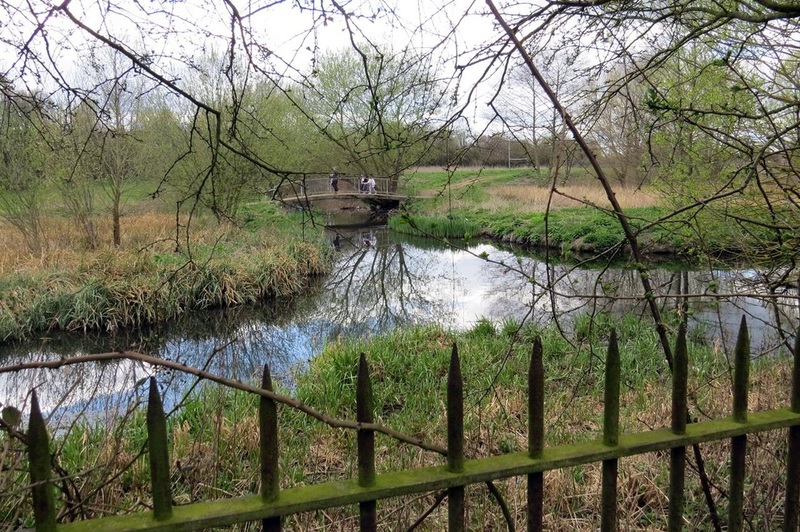 The first settlement in the Leagrave area was Waulud's Bank which is a Neolithic D-shaped enclosure in Leagrave Park at the source of the Lea and is now a protected monument. 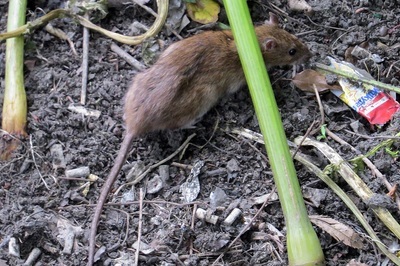 Finds at the site have included neolithic Grooved Ware and flint arrow heads. 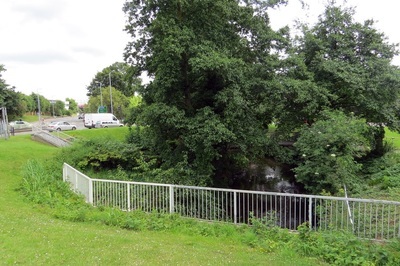 The site was later re-used in the Iron Age and during the Roman occupation. 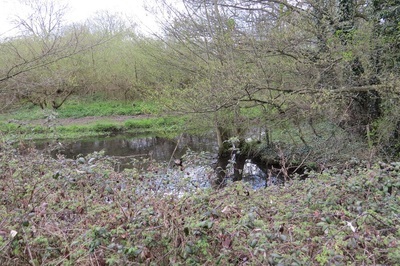 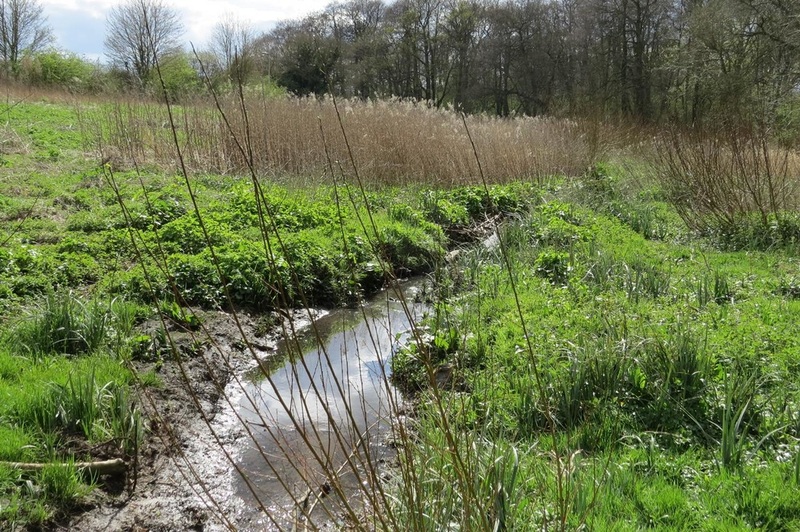 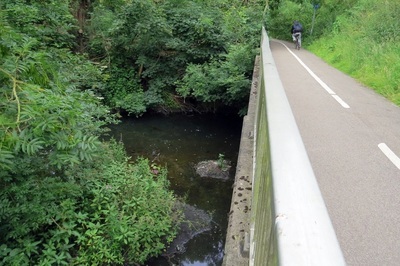 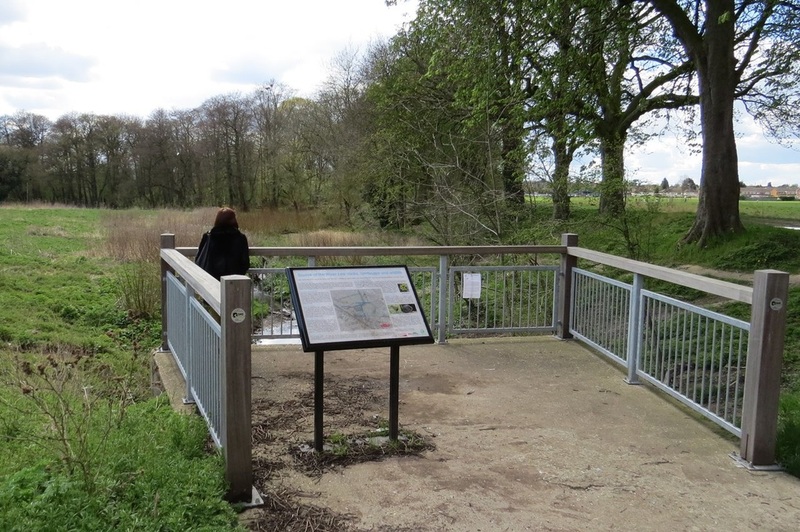 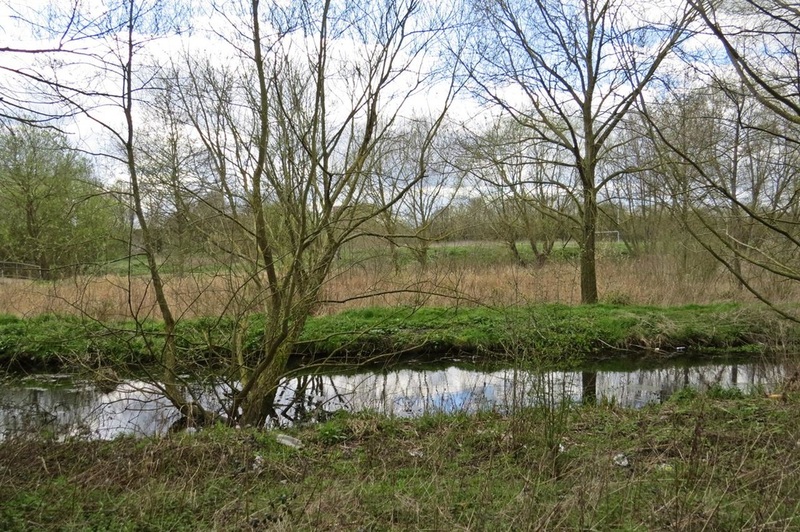 The Lea crosses Leagrave Common and receives a number of tributaries including Knapps Brook, which joins from culverts under the railway embankment and Toddington Road, Lewsey Brook and Houghton Brook. Knapps Brook is a combination of brooks from East End, Houghton Regis and from the Lewsey Estate near the old Lewsey Farm. 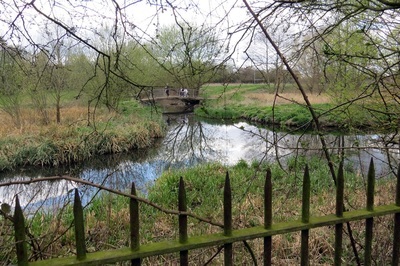 Leagrave Marsh used to be a popular place for the Luton hatters on their days off. 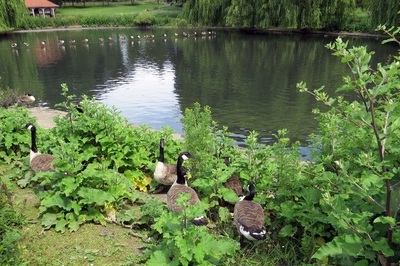 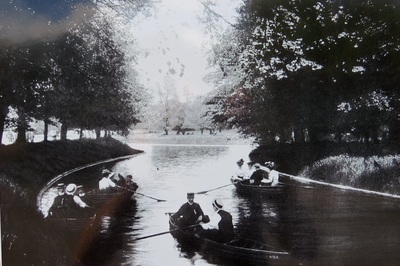 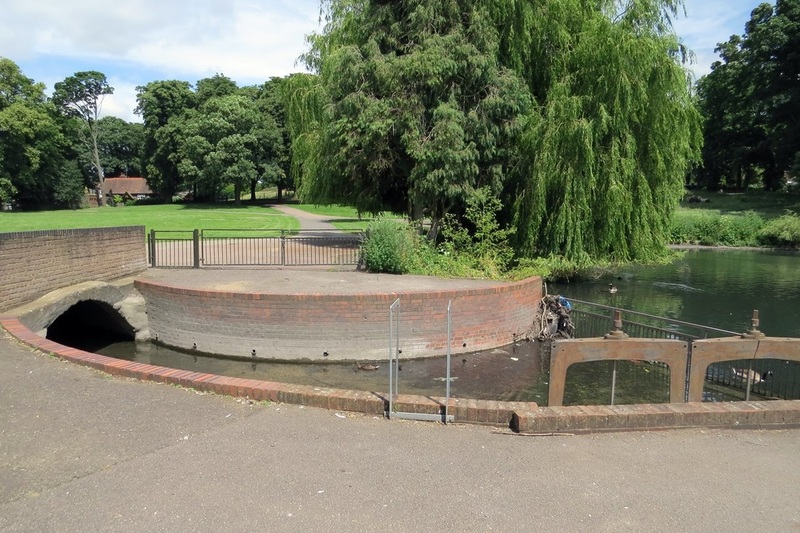 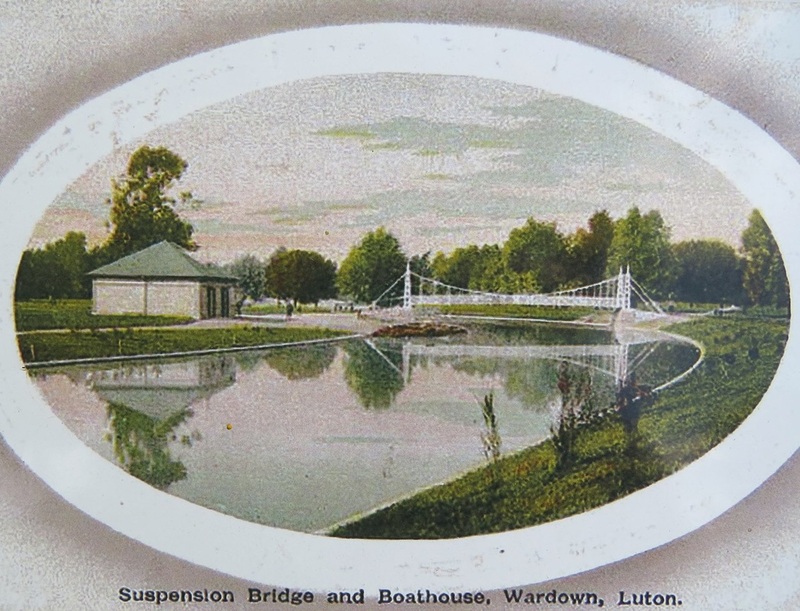 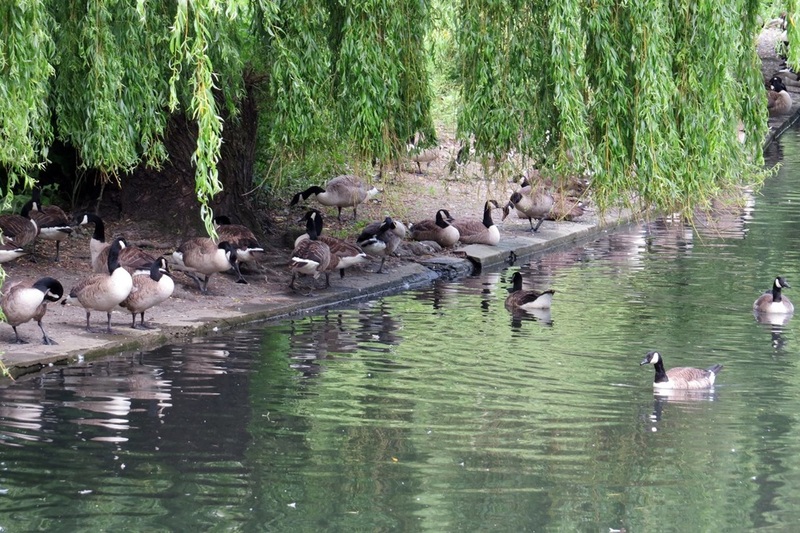 As you head south from Leagrave you enter the northern parts of Luton where the Lea feed the lake at Wardown Park.The lake was constructed in two phases between 1904 and 1908 by widening the river. 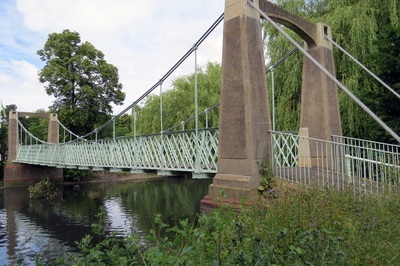 The suspension bridge was constructed in 1908. 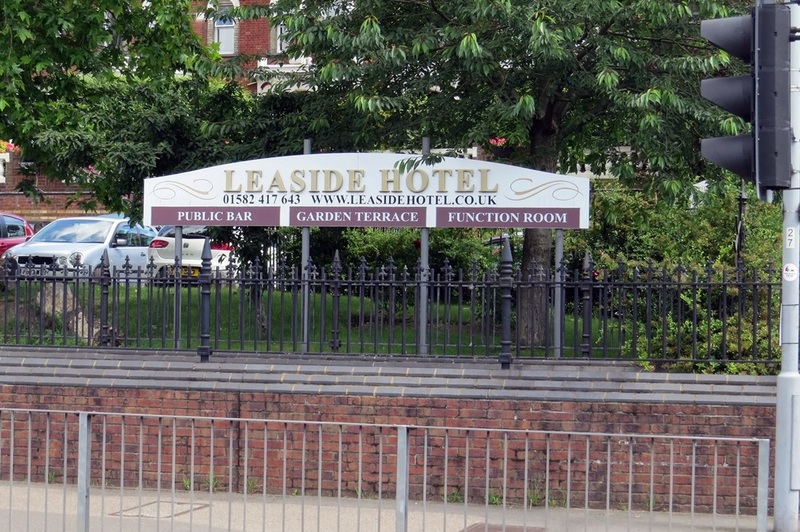 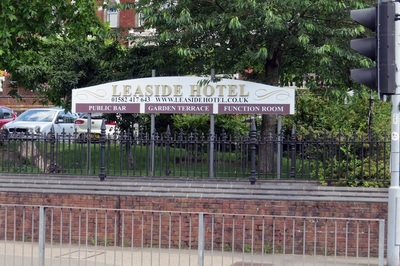 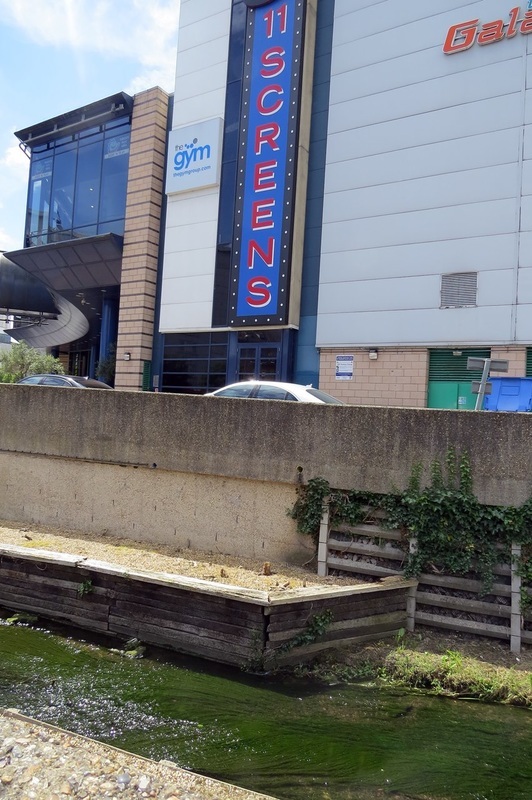 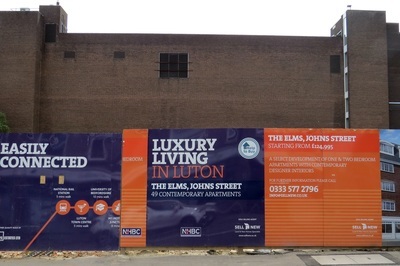 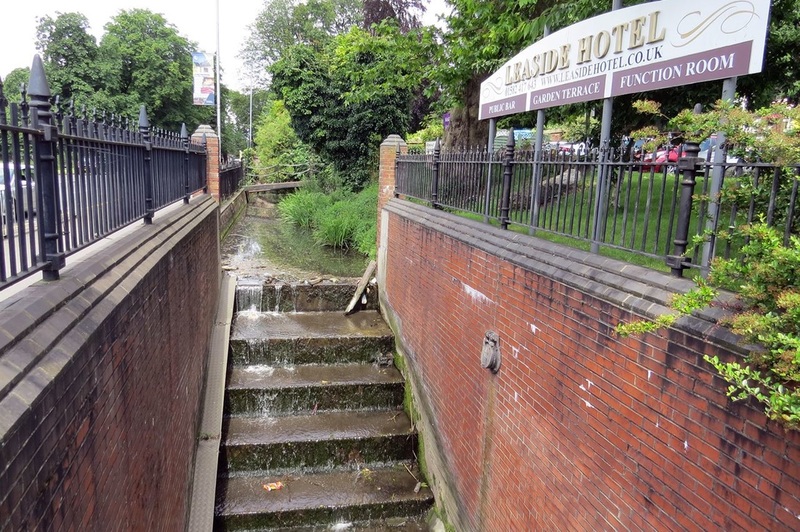 After the park, the Lea flows in channels both sides of the A6 into Luton & near the Leaside Hotel then head underground before brief appearances above ground by the Comfort Inn in Mill Street, by the Multiplex & then at the back of a building site. Then out in the open heading out past Luton Airport Parkway down towards Harpenden. 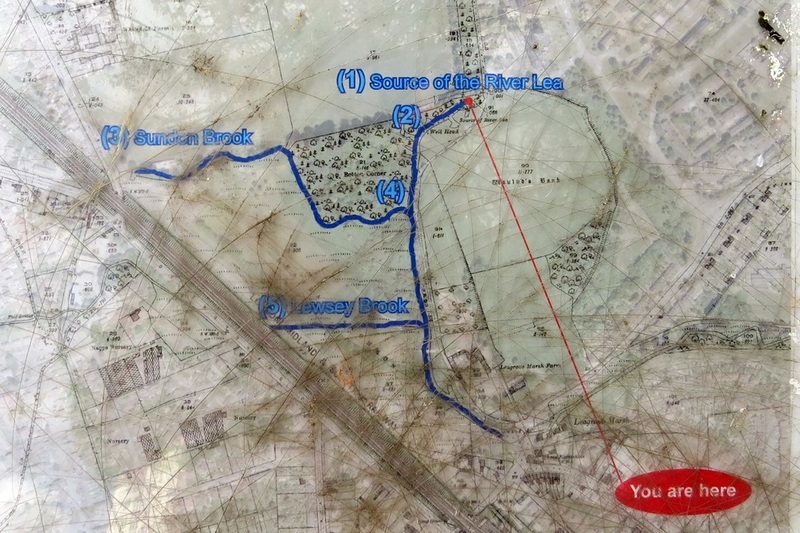 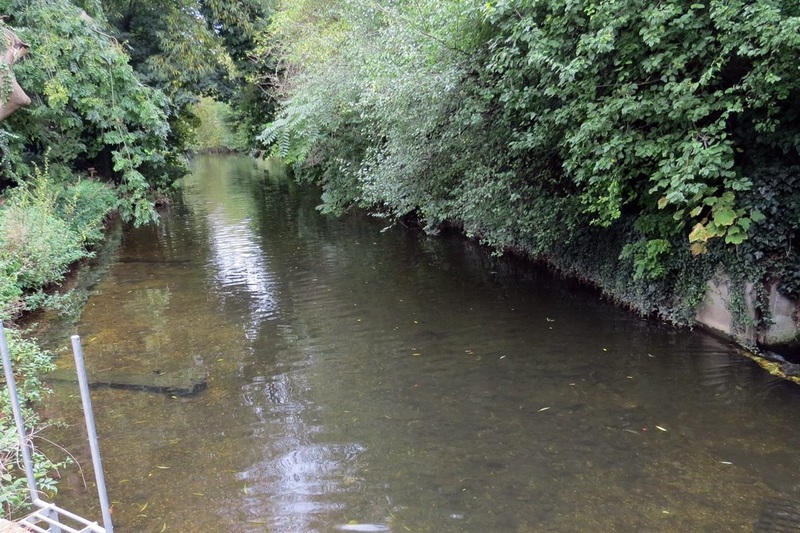 The Lea is not that visable to the casual walker for the next few miles - its hidden beyond a wall in the estate of Luton Hoo - a onetime stately home now a spa - and then hidden within private farm land. 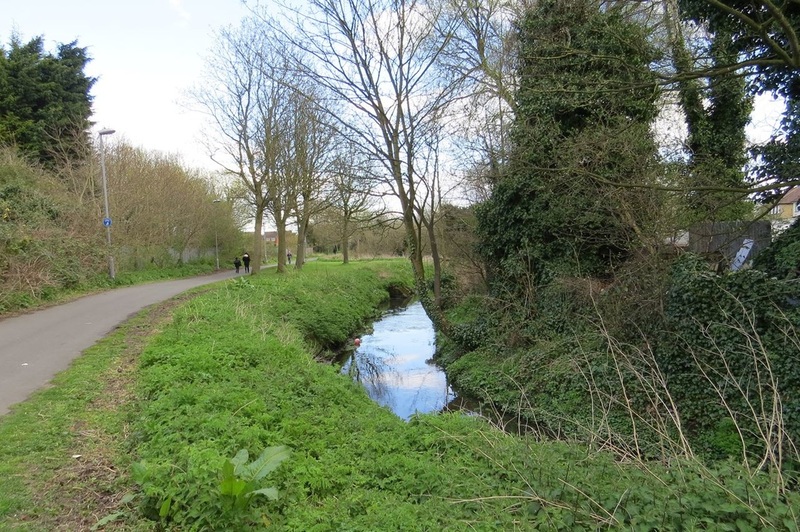 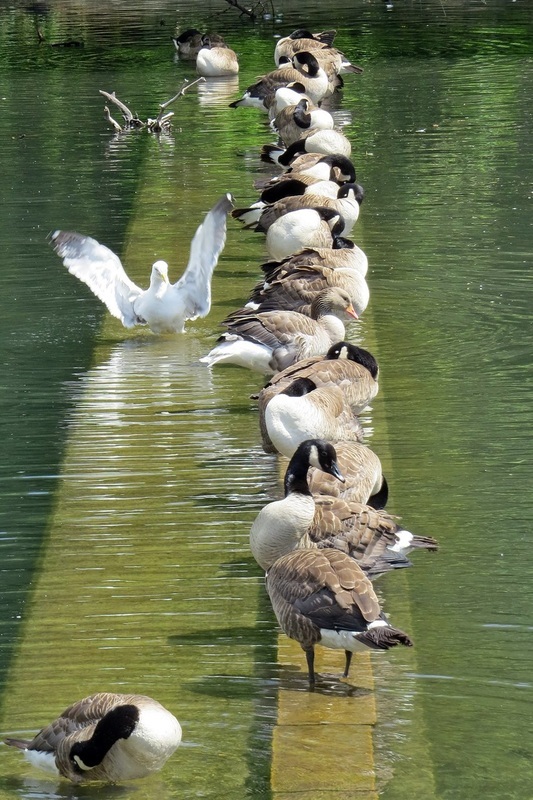 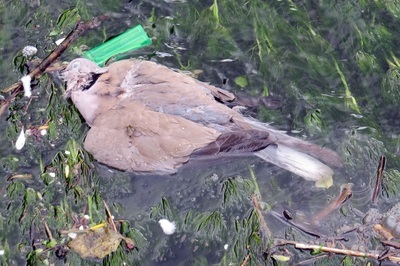 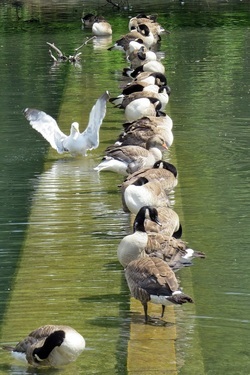 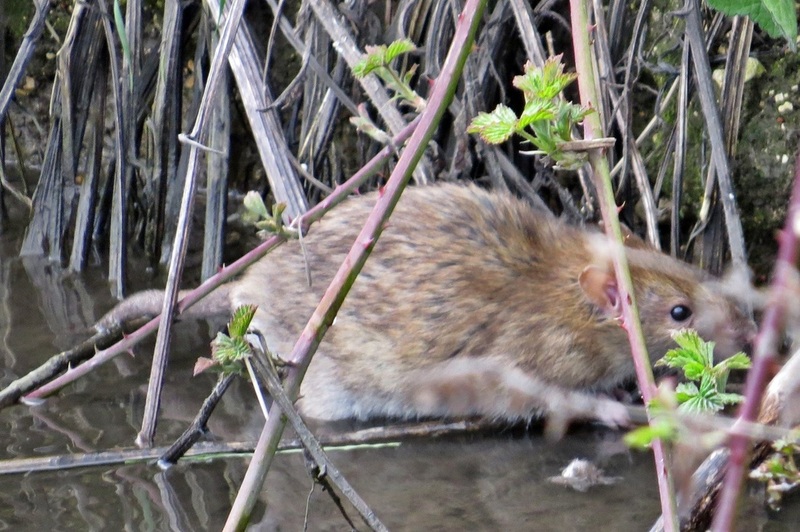 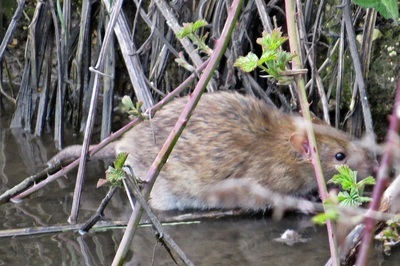 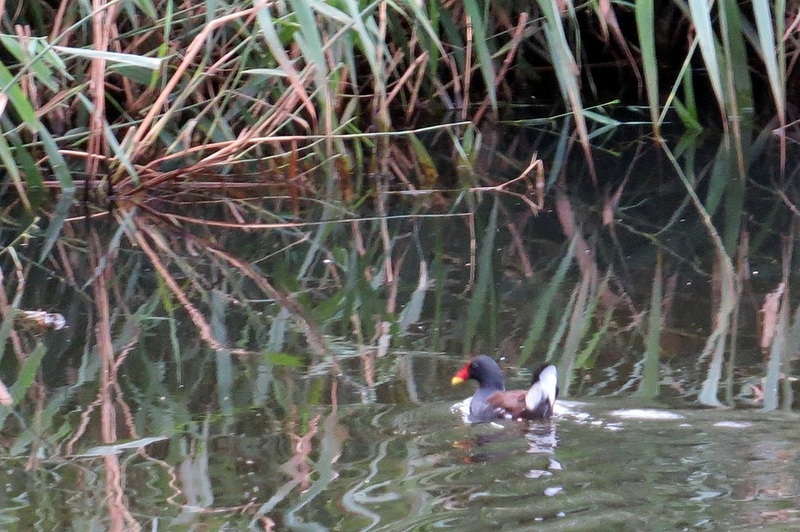 Due to private land it is not so easy to walk alongside the Lea. 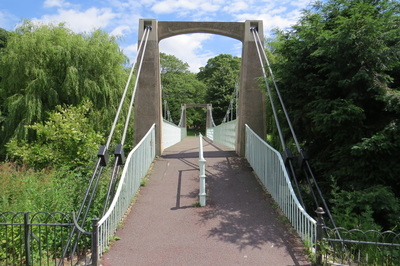 A couple of miles south of Luton Parkway is East Hyde where the Chiltern Green Viaduct spans the Lea Valley. 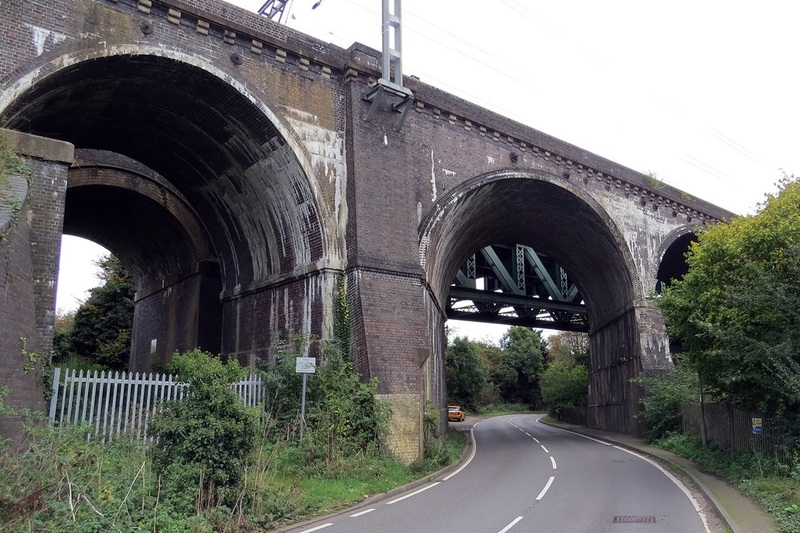 The viaduct opened in 1868 carries the Midland Mainline over the B653 Lower Harpenden Road, and over the River Lea. This steel girder bridge was a later addition when the line was widened from two to four tracks. 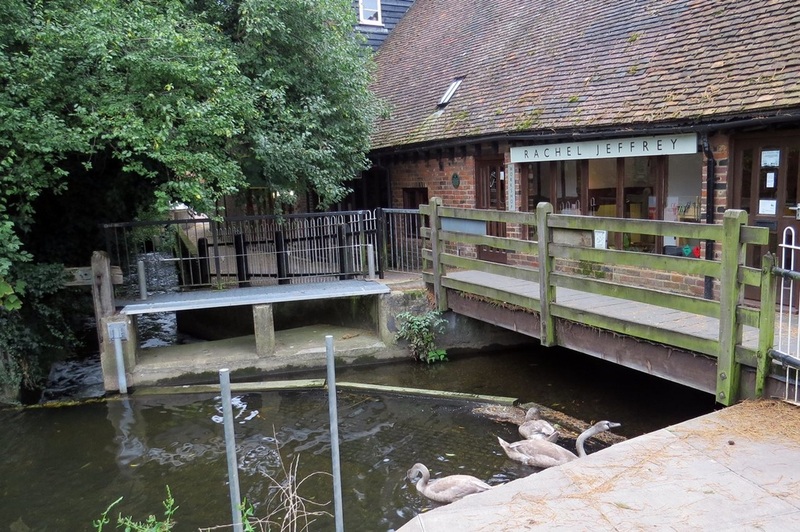 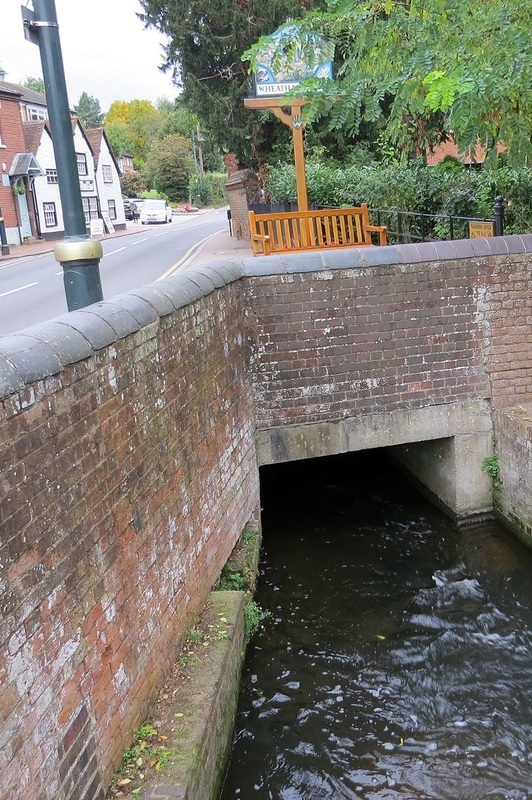 The River heads south east past Harpenden and flows through the ancient village of Wheathampstead. 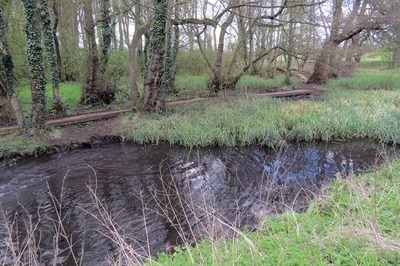 Settlements in this area were made about 50 BC by Belgic invaders. They moved up the rivers Thames and Lea from what is now Belgium. 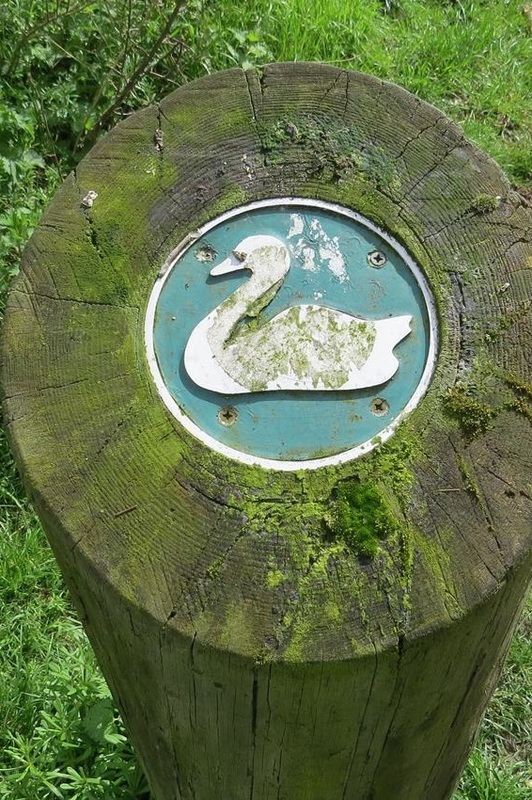 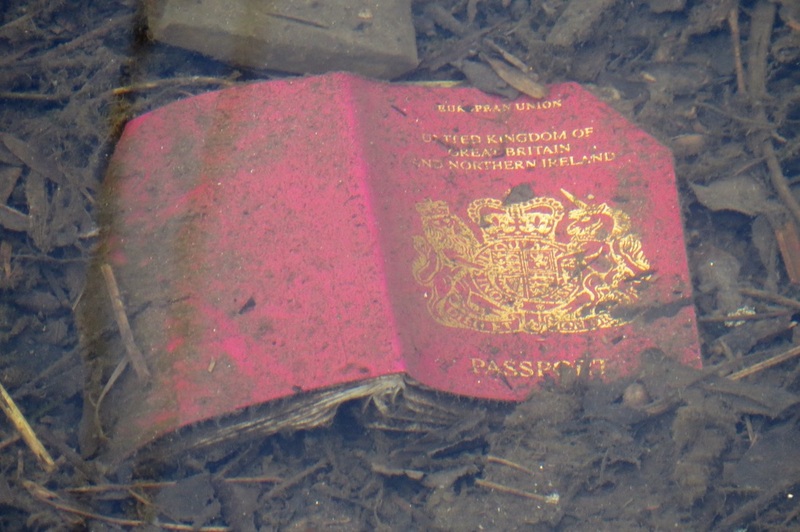 Evidence for them was found in Devil's Dyke, at the eastern side of Wheathampstead. The Devil's Dyke is reputedly where Julius Caesar defeated Cassivellaunus in 54 BC, although this claim is disputed. 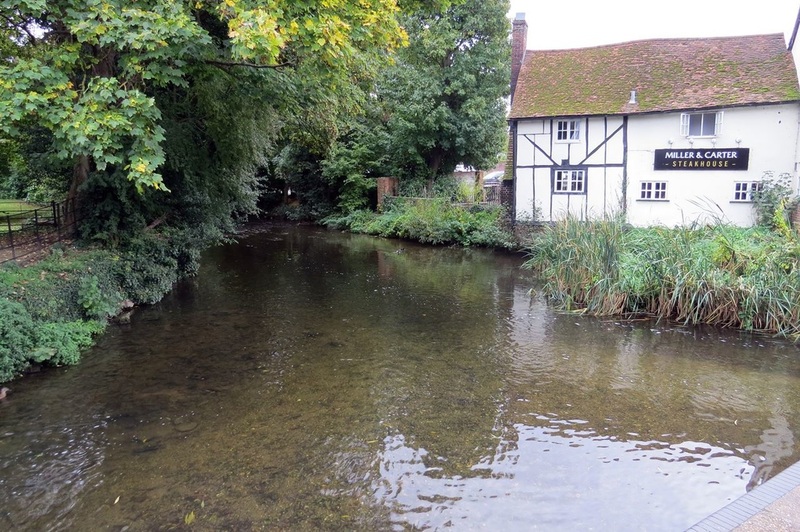 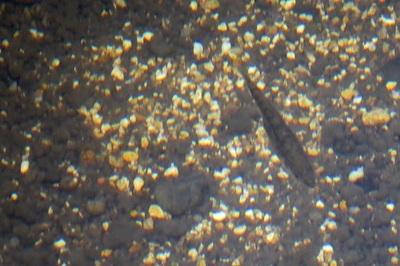 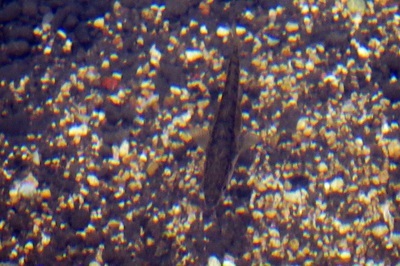 Here the River provided a source of power through its watermills and food in the form of fish. 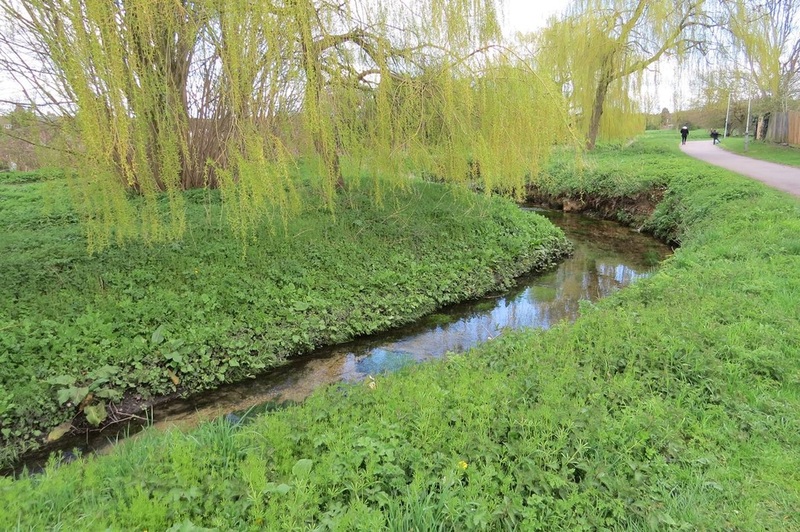 There was a flourishing trade in watercress, which was grown in beds fed by springs. Izaak Walton refers to the River Lea here in The Compleat Angler when in the 1940s a circus elephant was brought here to drink and damaged the quay. 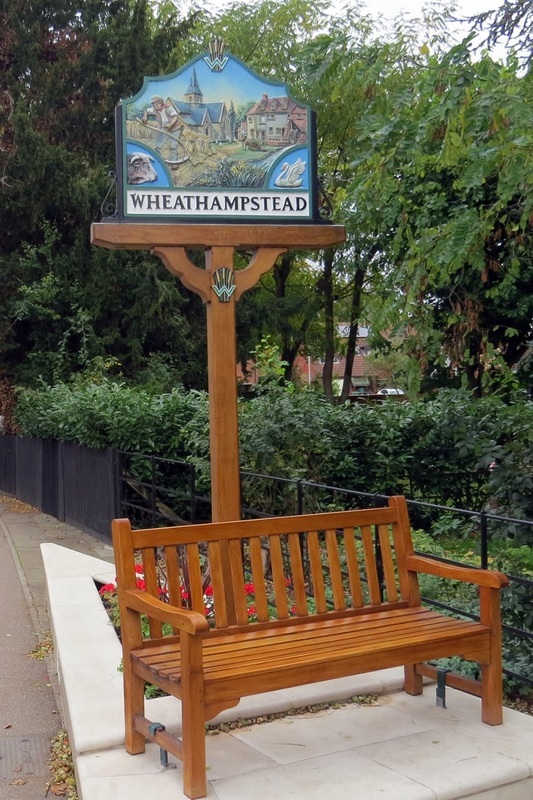 To be continued.............. a long walk via Welwyn Garden City, Hertford, Ware, Stanstead Abbotts, Hoddesdon, Broxbourne, Cheshunt, Waltham Abbey and then onto home turf down towards Bow Creek.